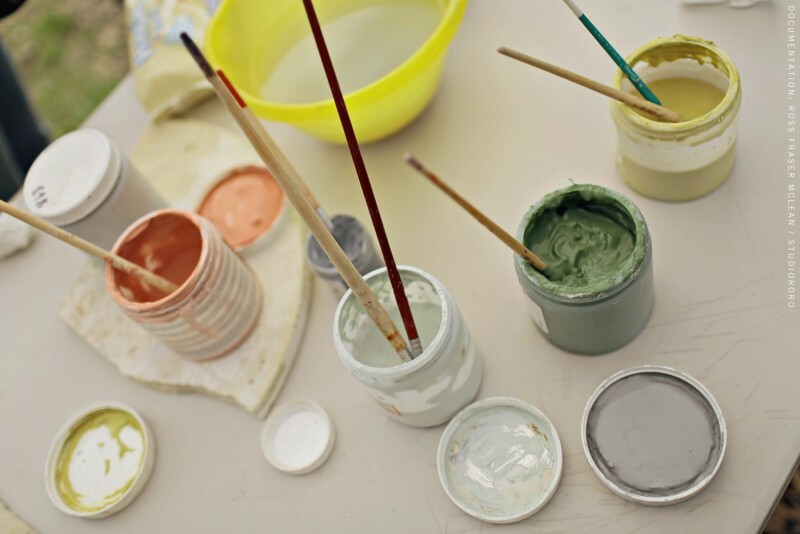 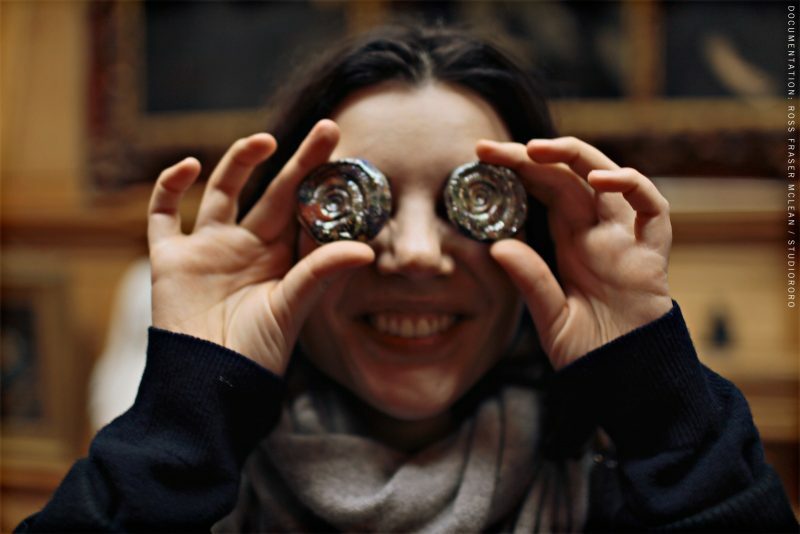 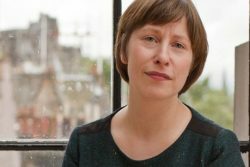 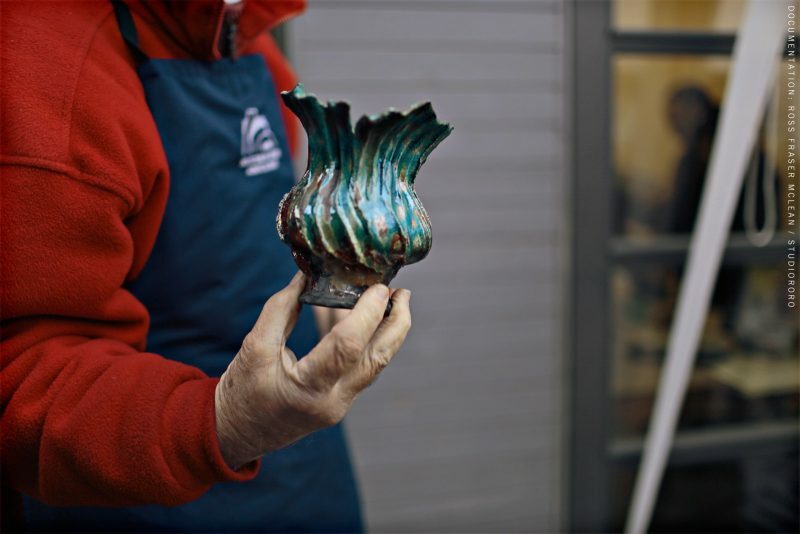 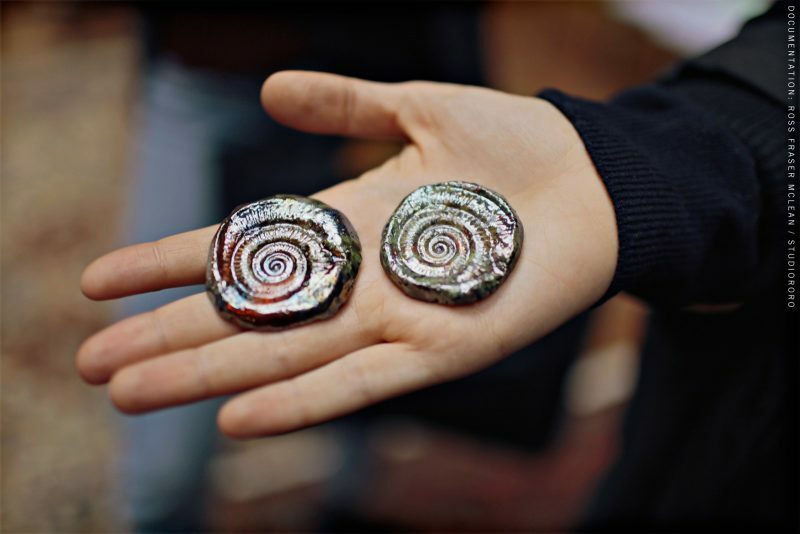 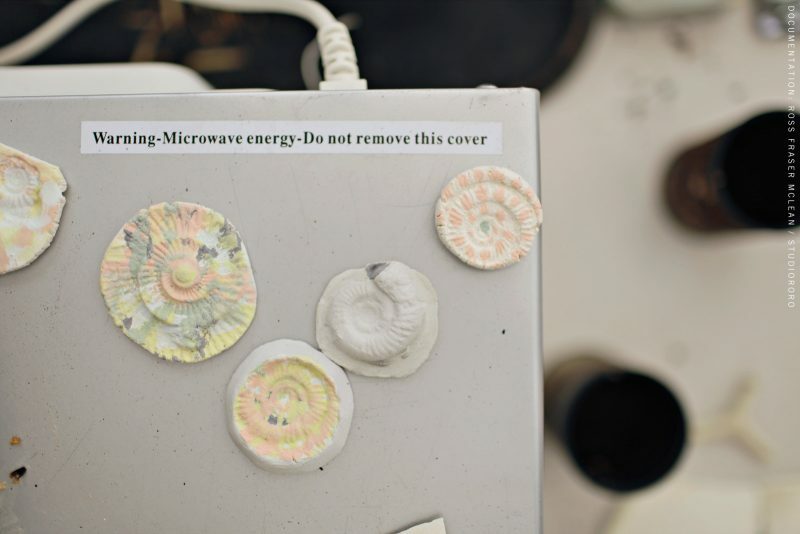 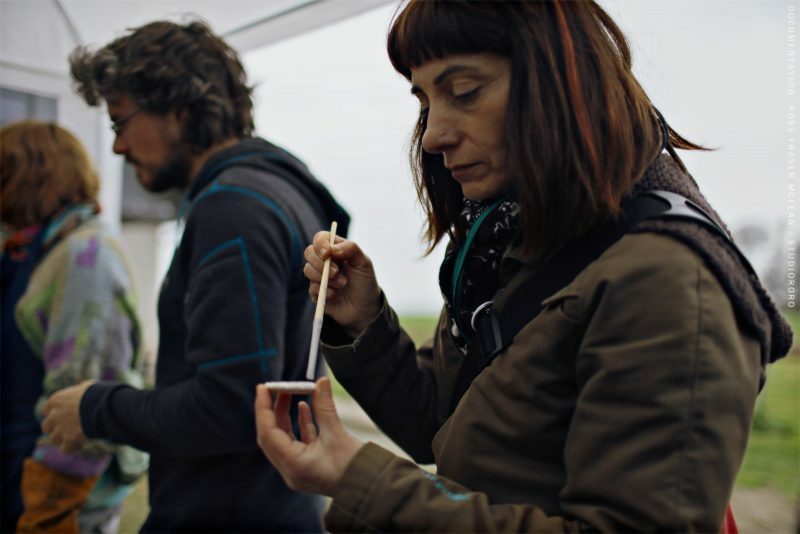 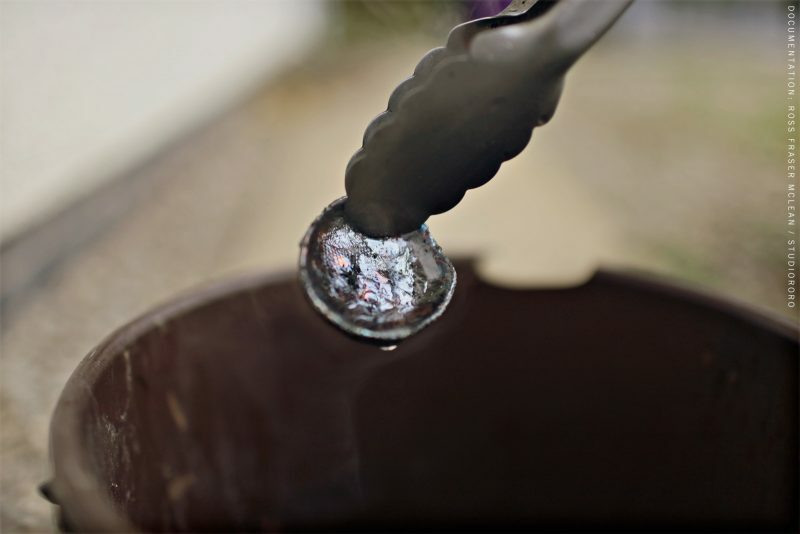 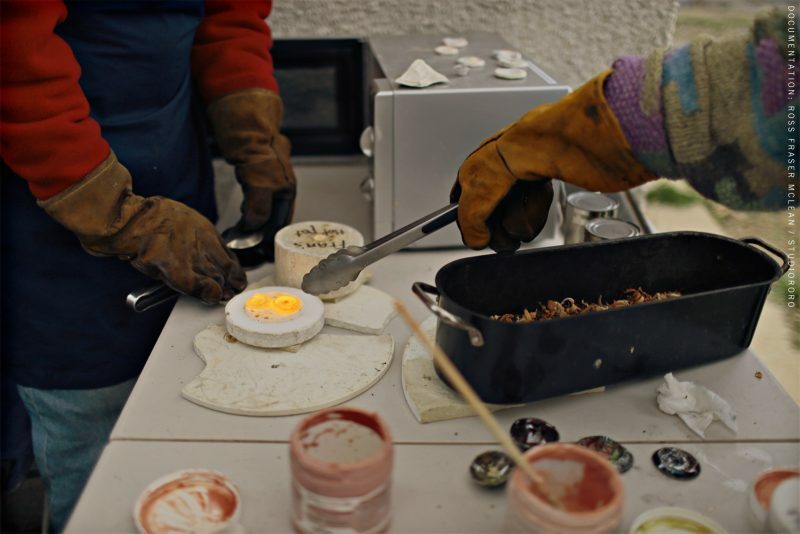 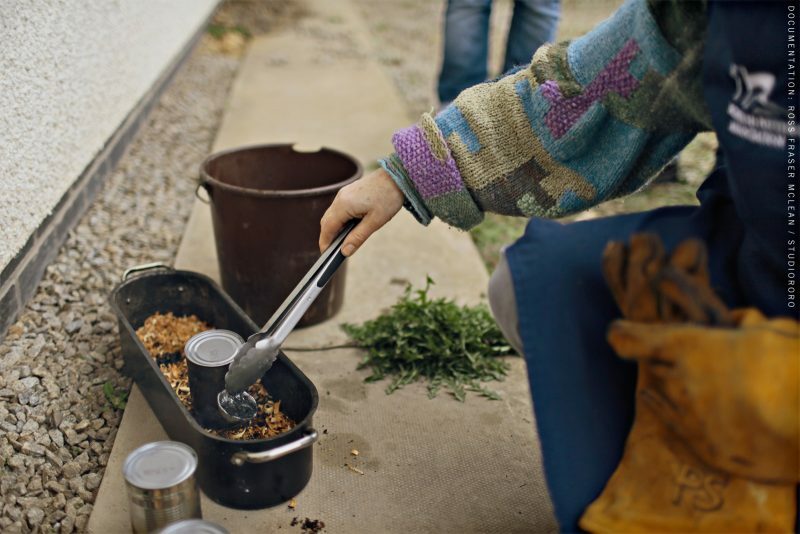 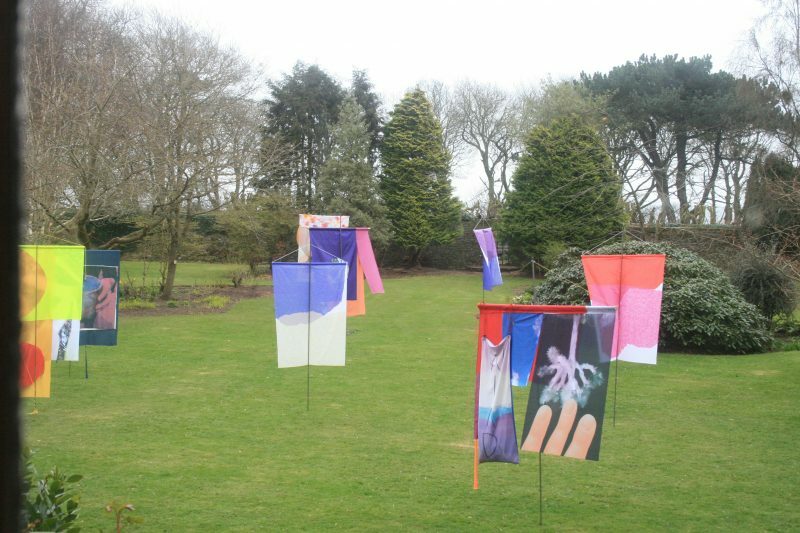 Artists Caroline Achaintre and Laura Aldridge were commissioned for ILLUSION and their work installed the garden and studios. 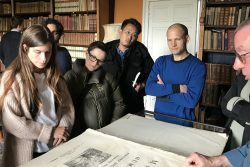 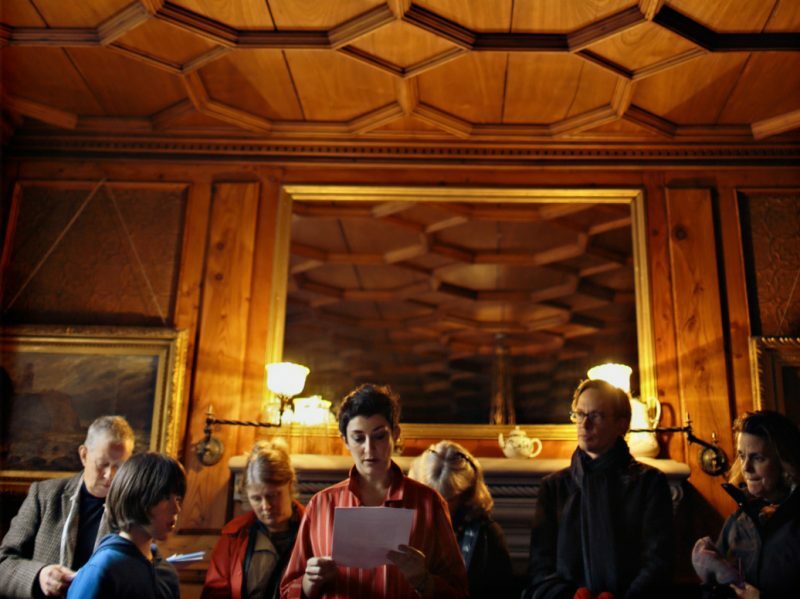 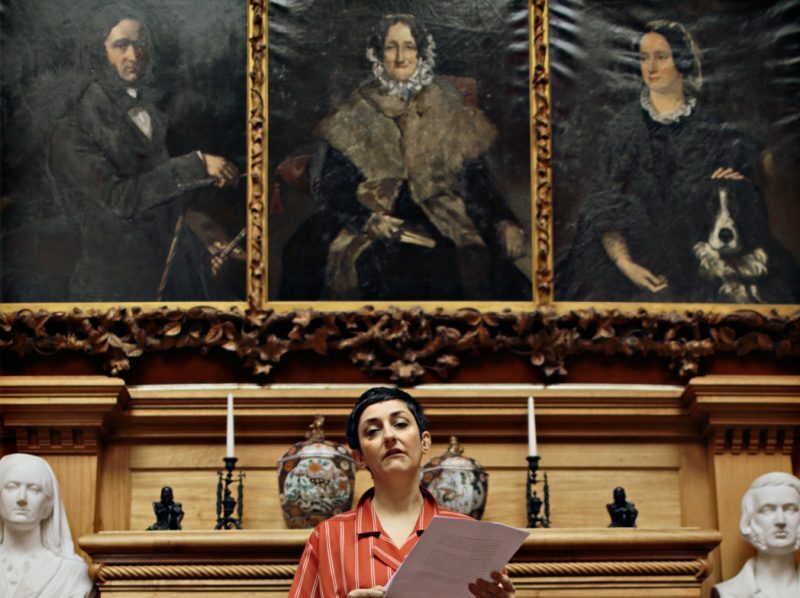 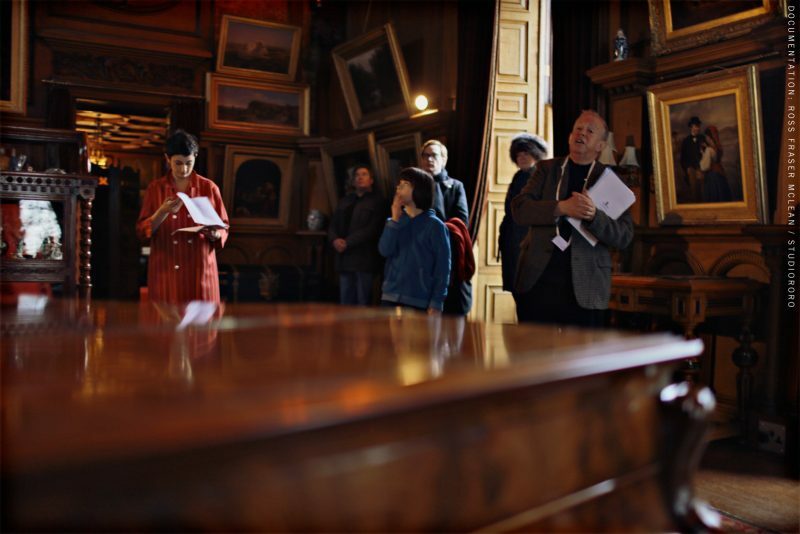 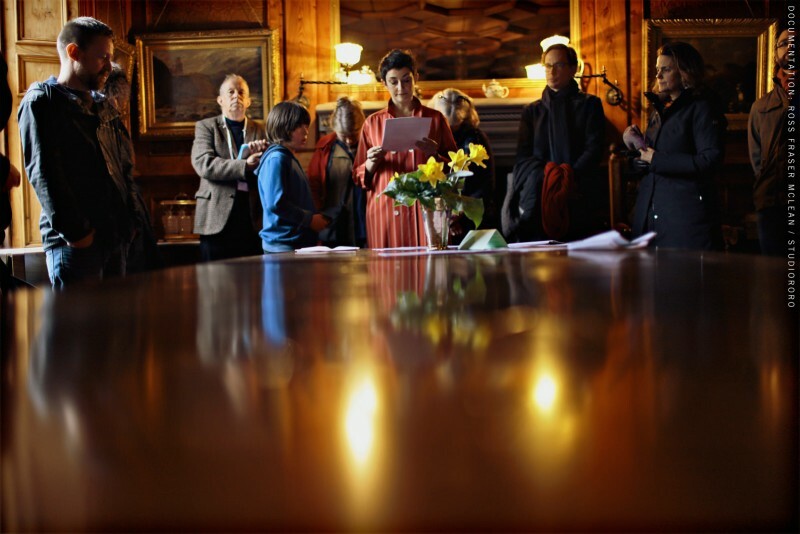 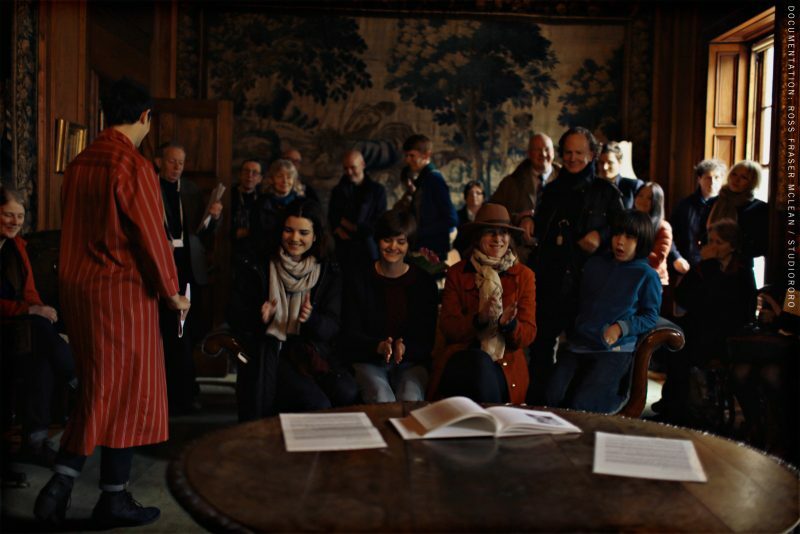 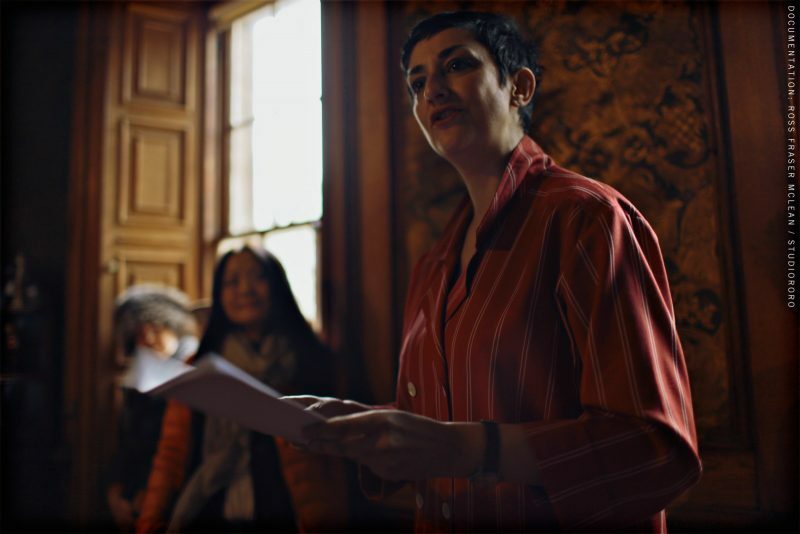 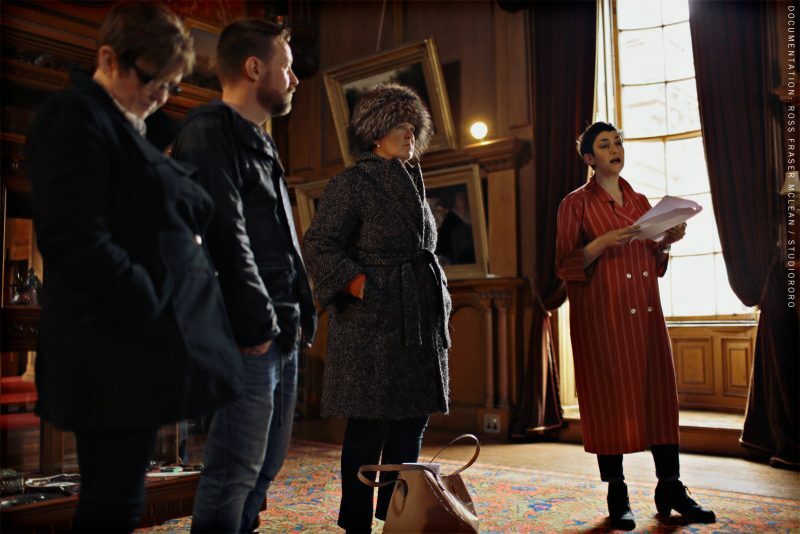 In a series of site-specific readings Maria Fusco also examined physical vulnerability as she shared excerpts from her novella which takes place in a decrepit, abandoned palace, once the home of the first Marquês de Pombal, the inventor of the grid system. 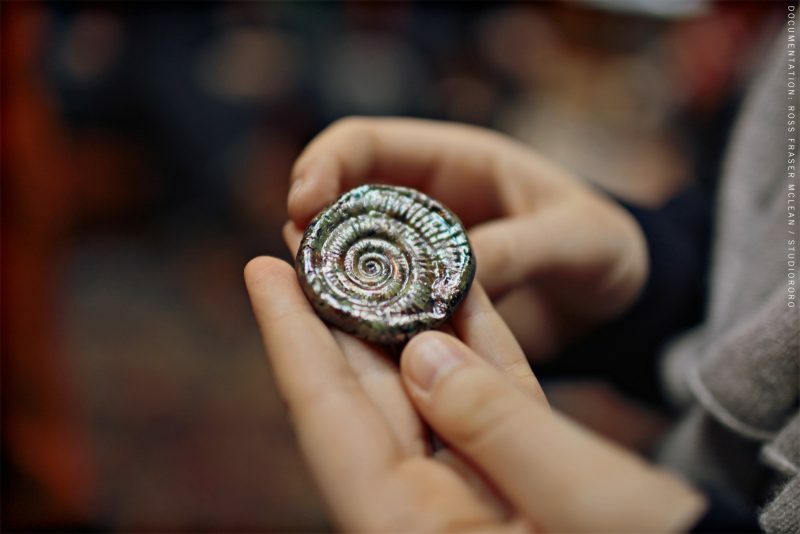 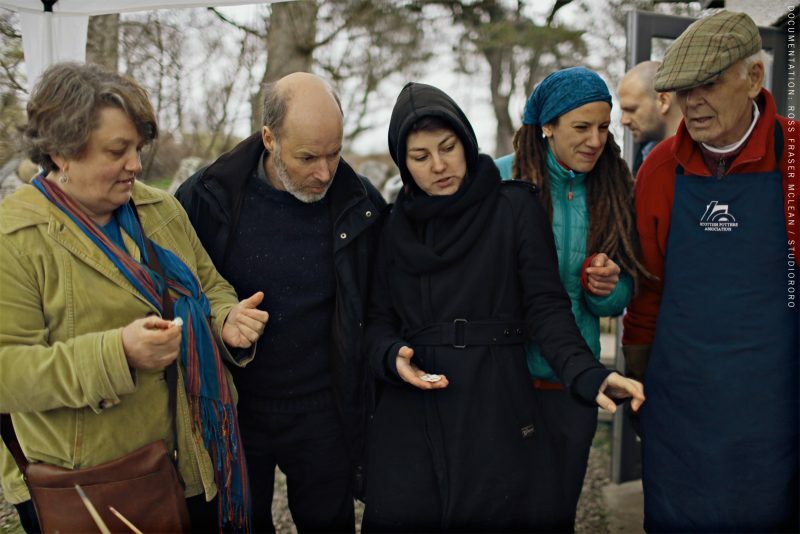 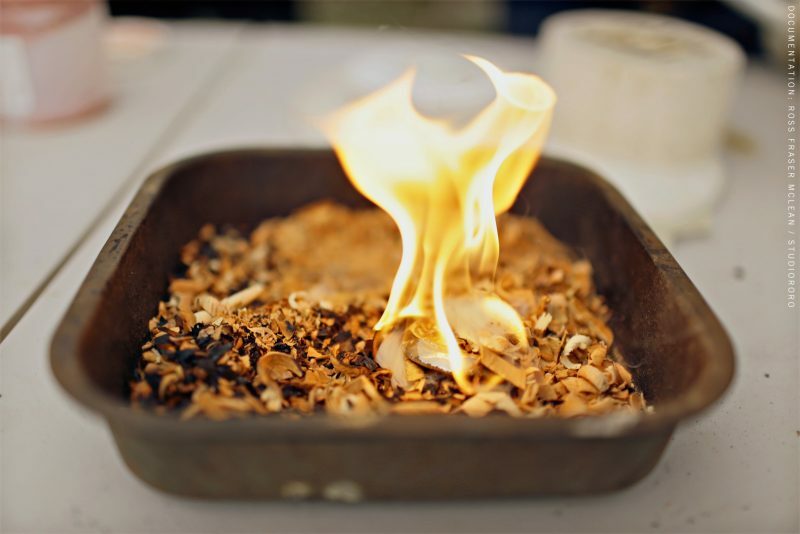 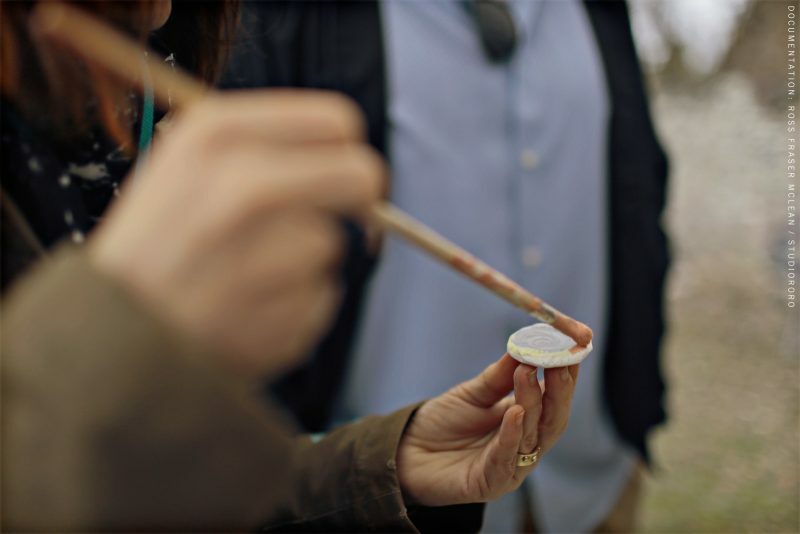 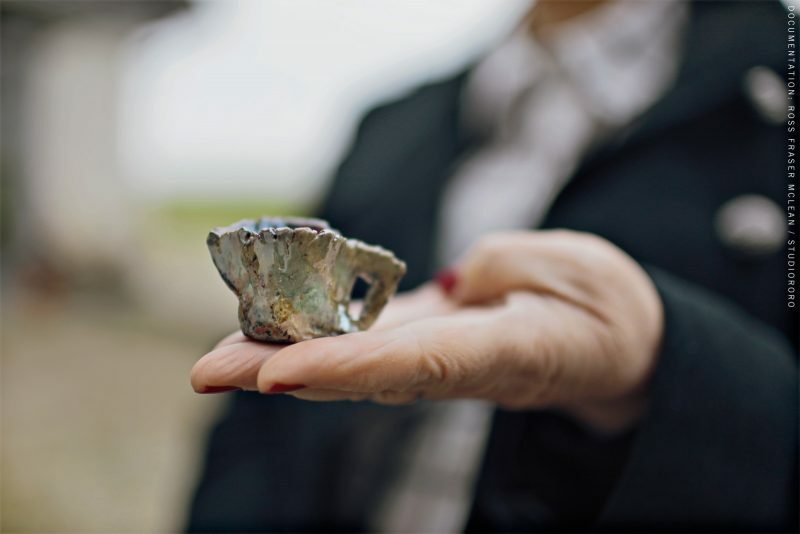 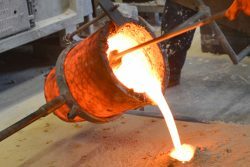 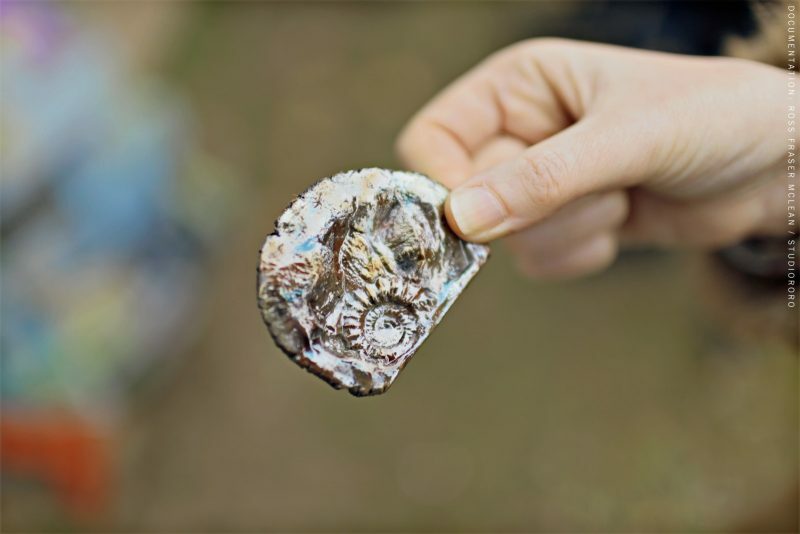 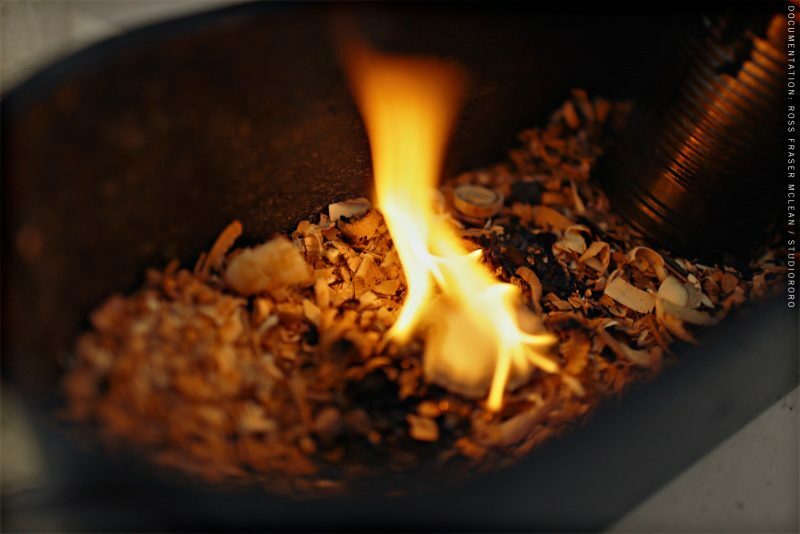 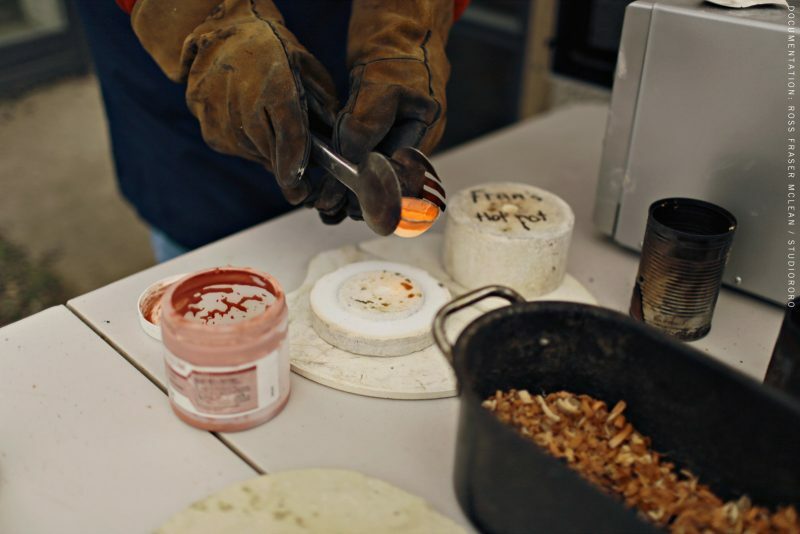 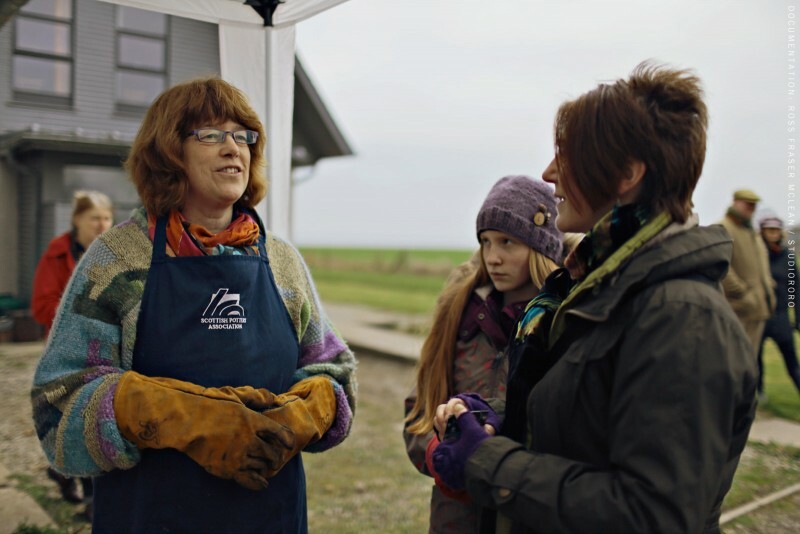 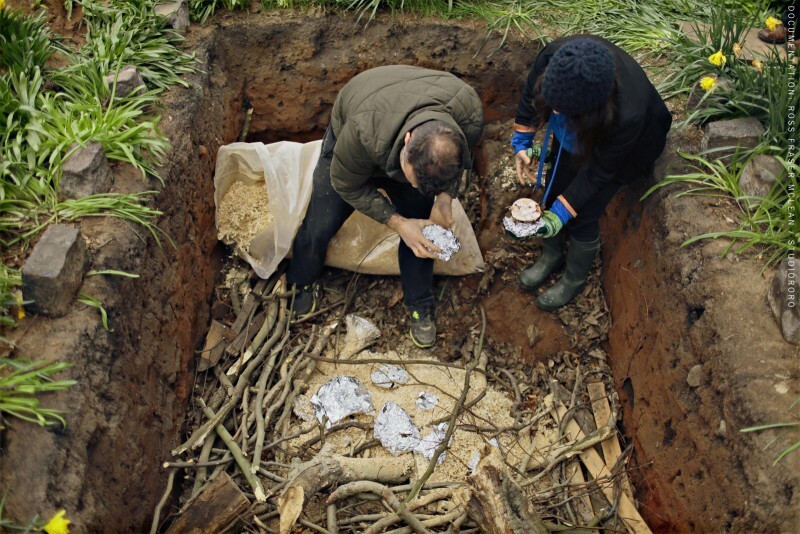 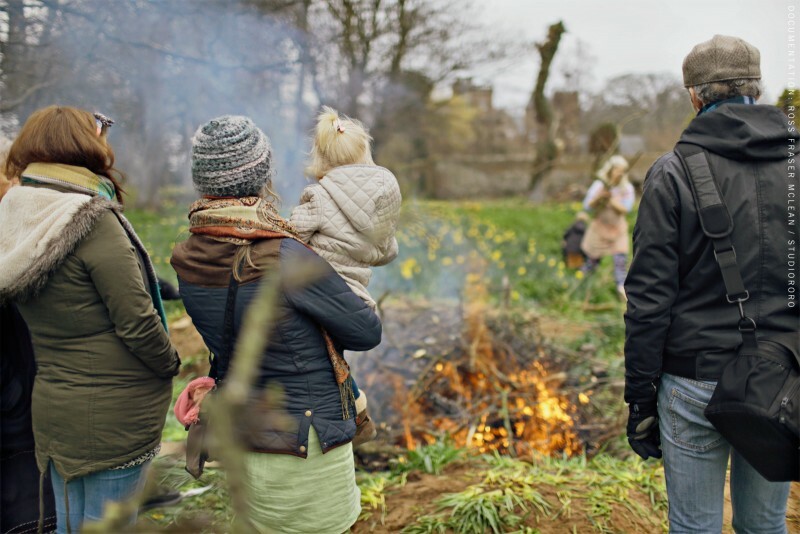 In addition to artists’ talks and tours during the weekend, the audience were invited to take part in the alchemy of a Saturday morning pit firing led by Laura Aldridge and ceramicist Fran Marquis. 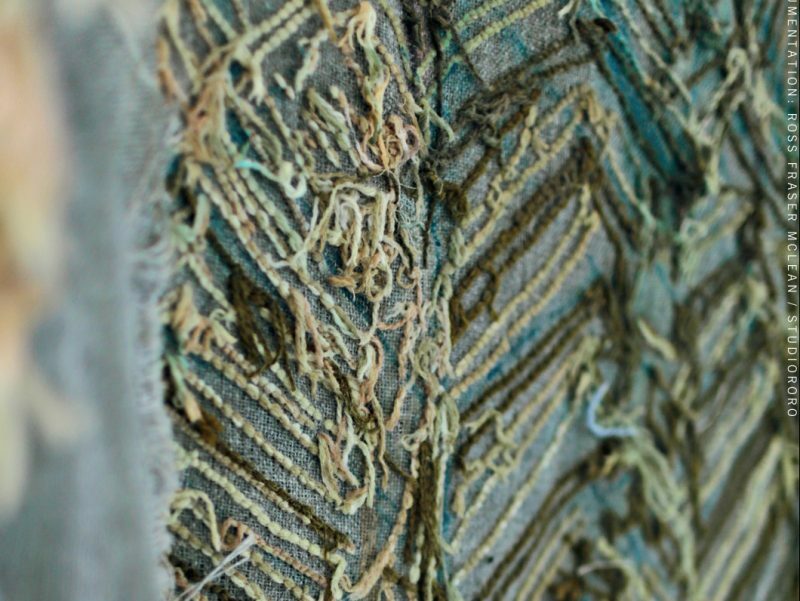 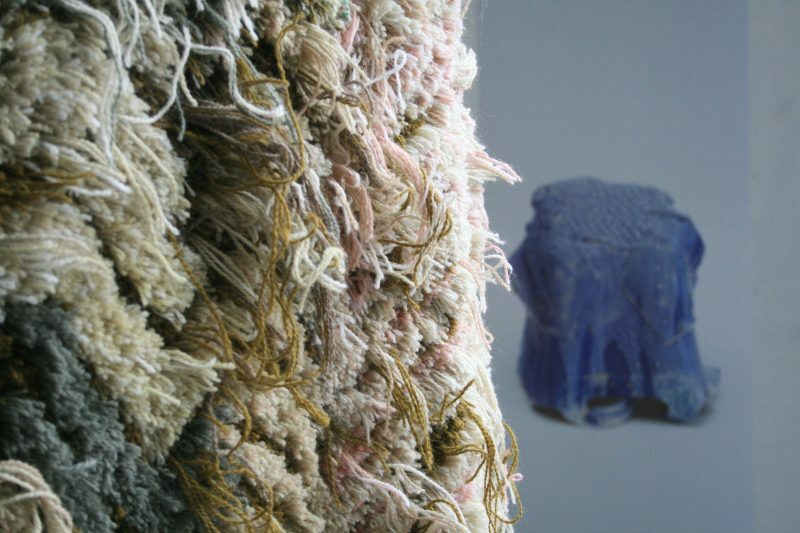 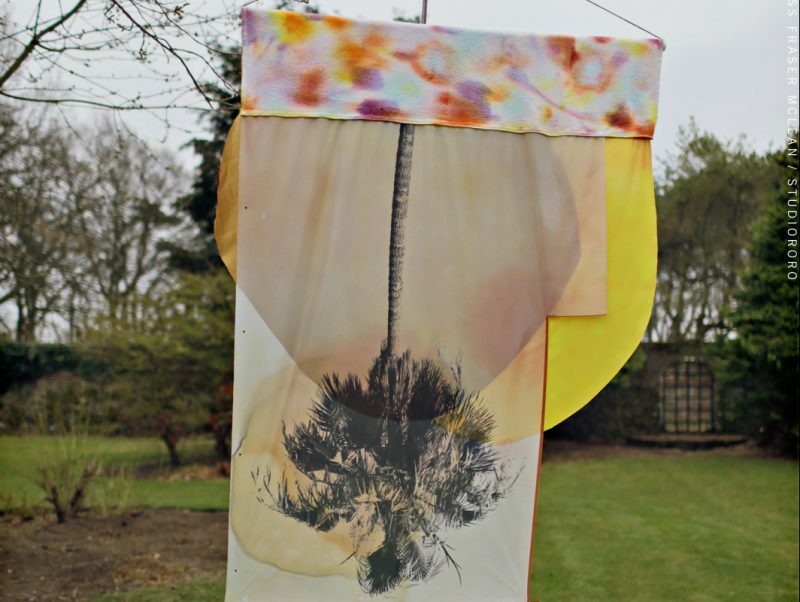 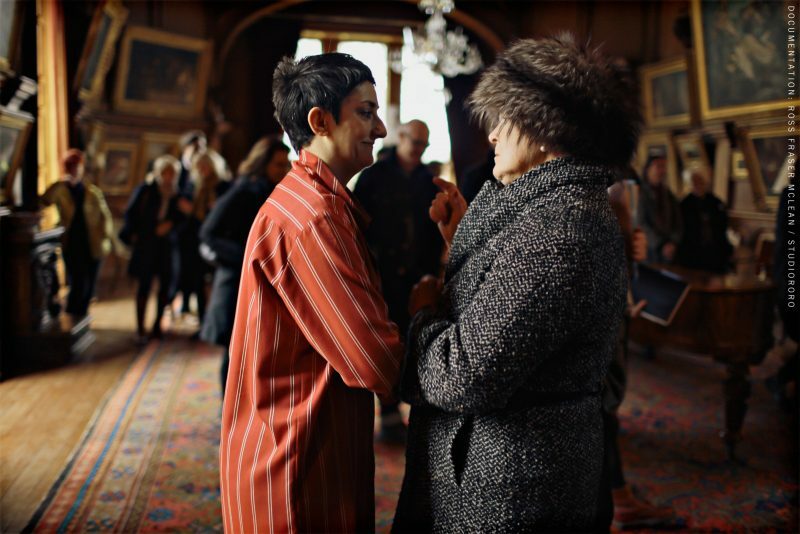 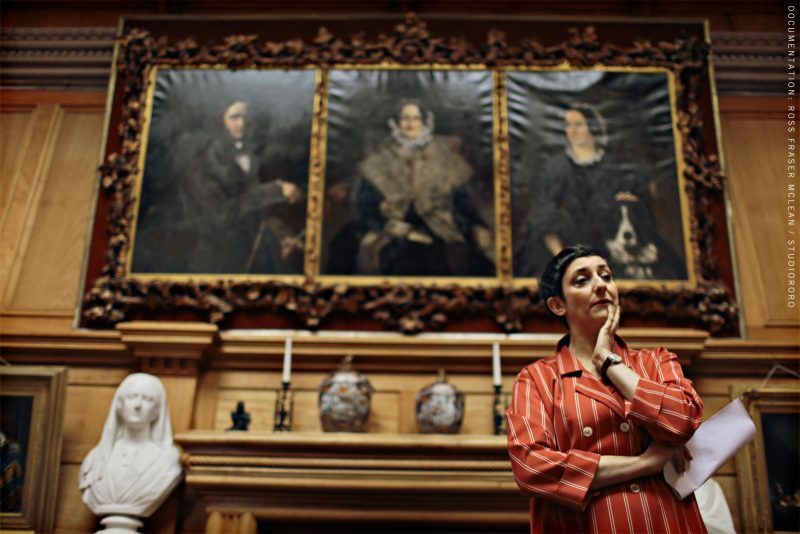 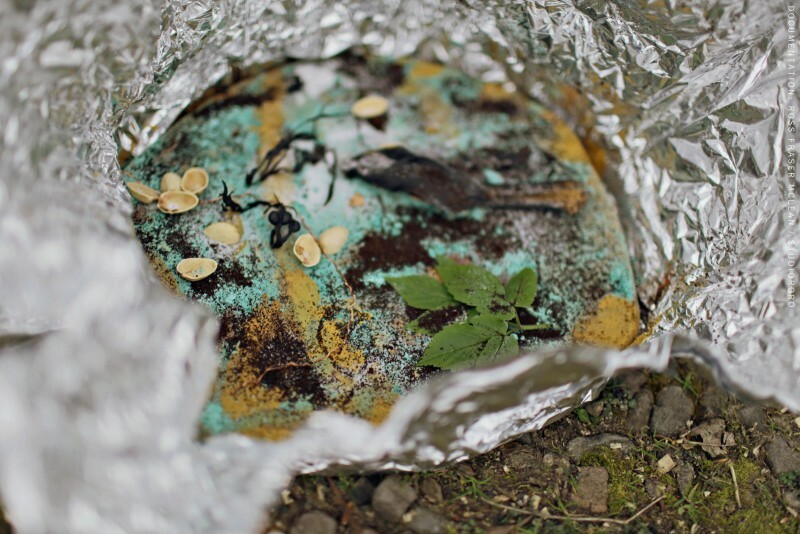 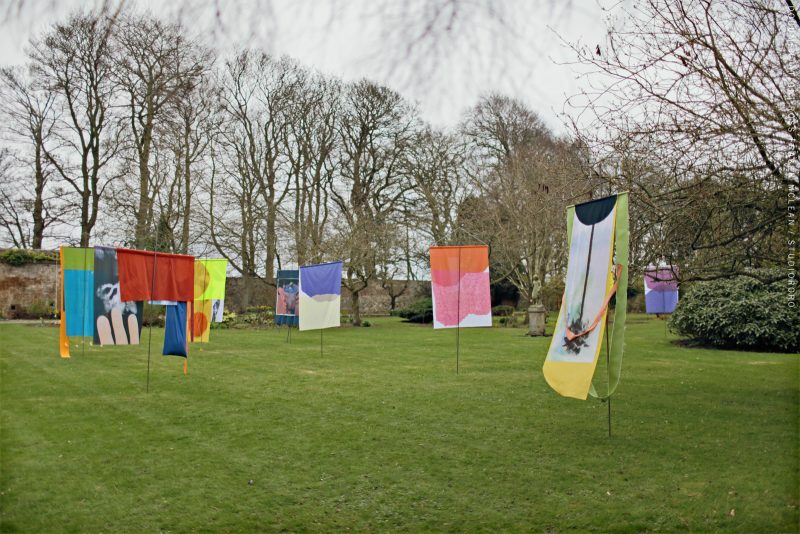 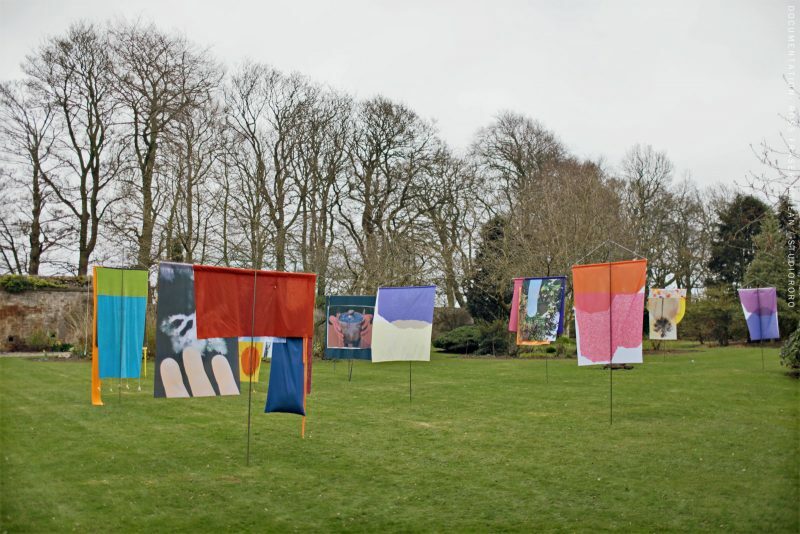 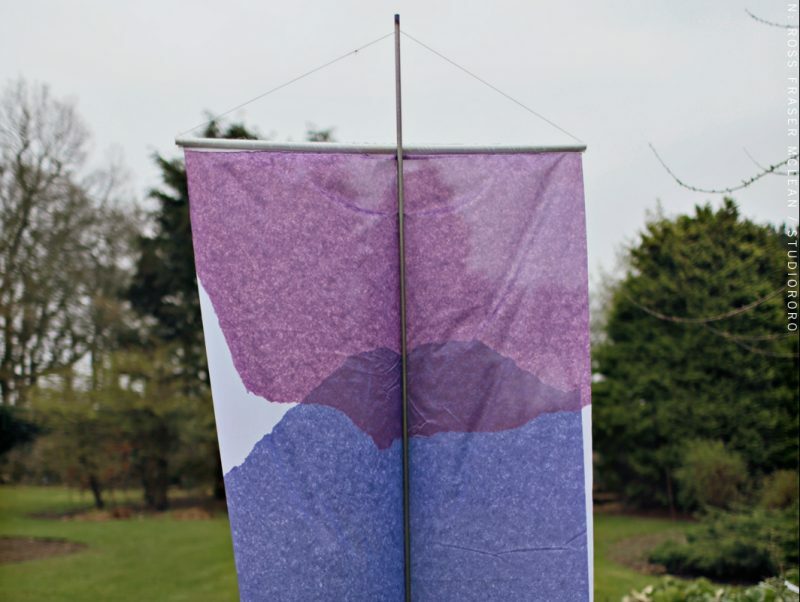 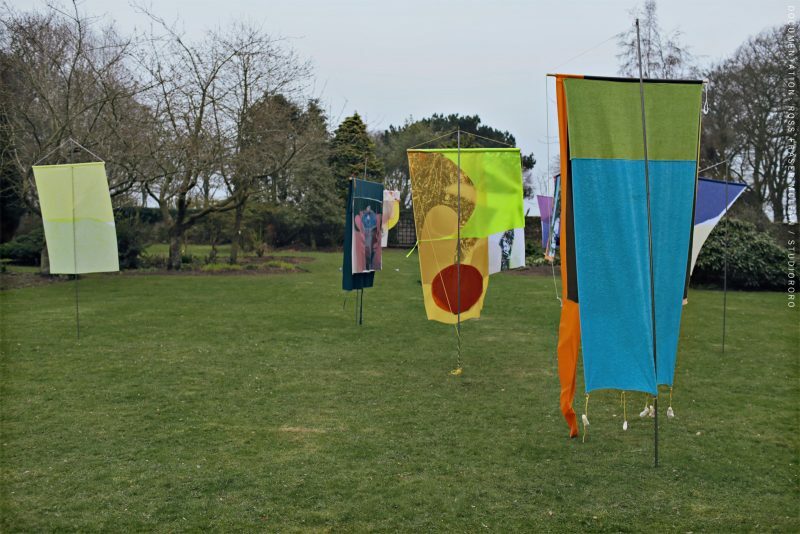 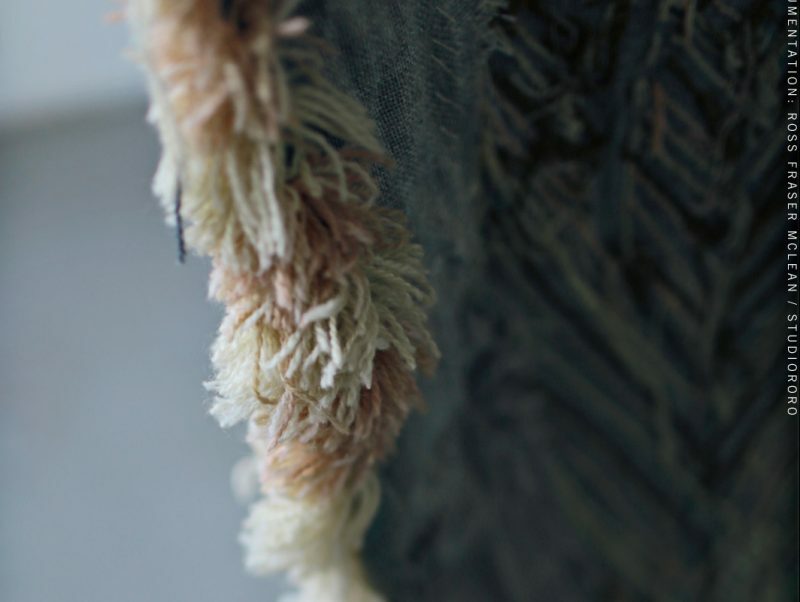 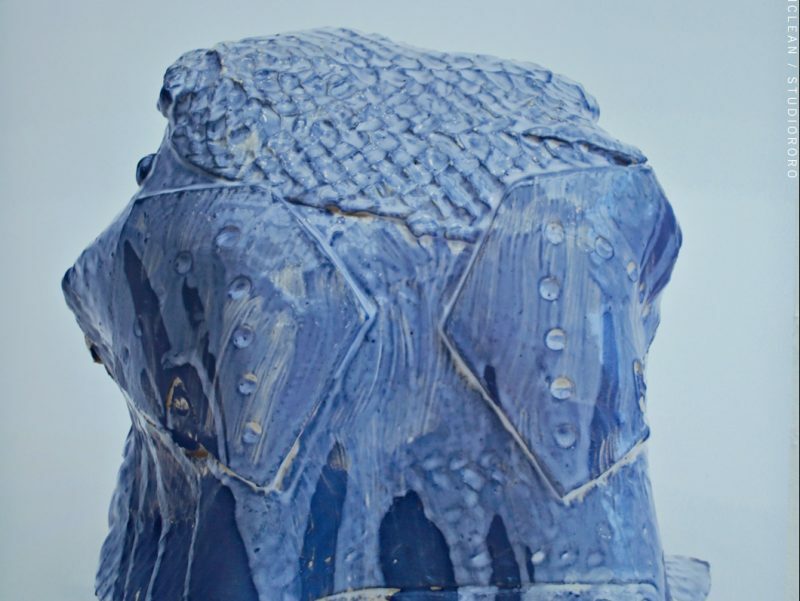 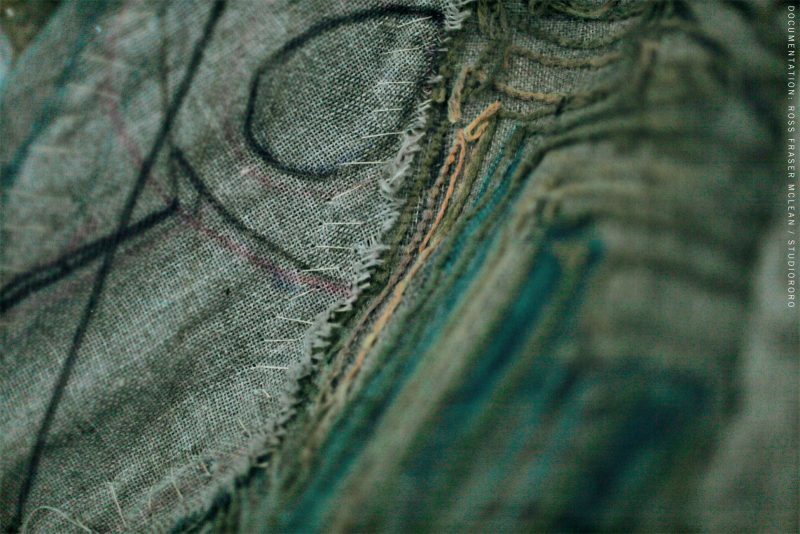 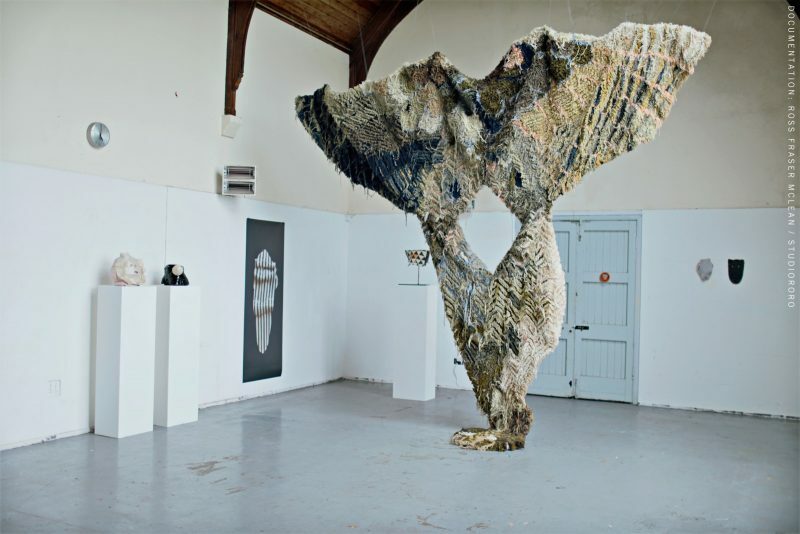 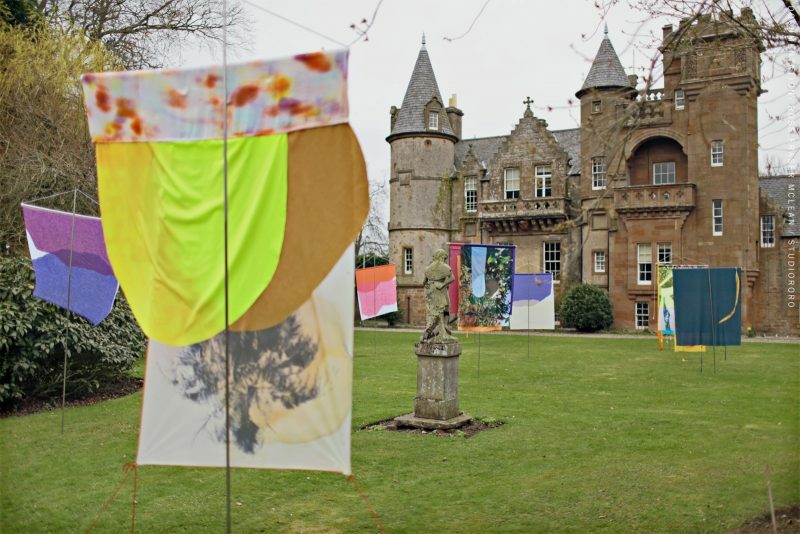 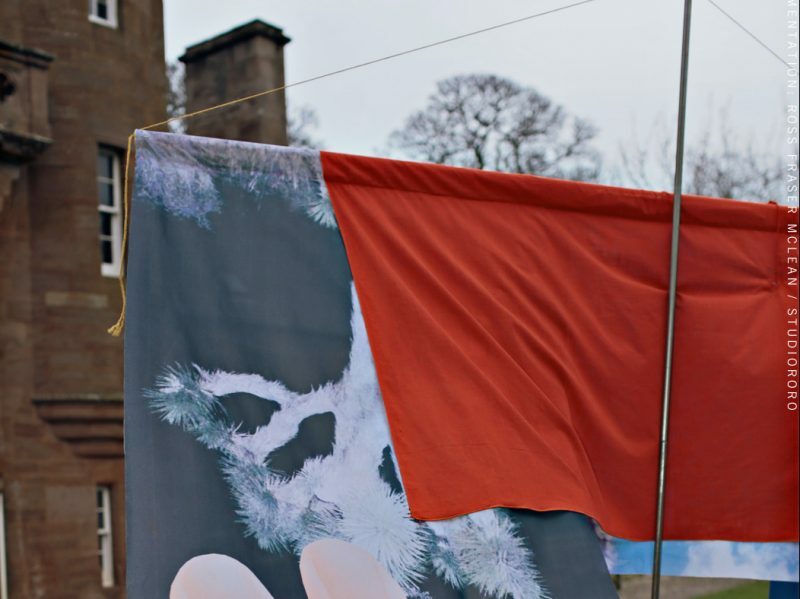 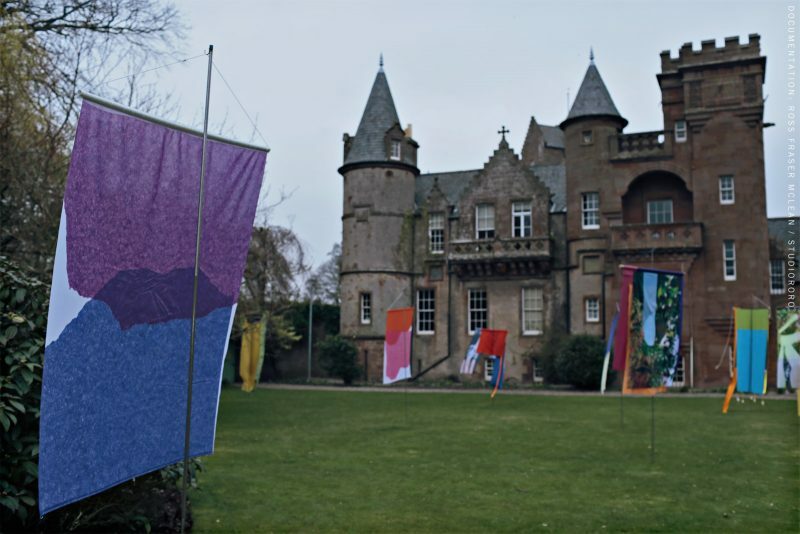 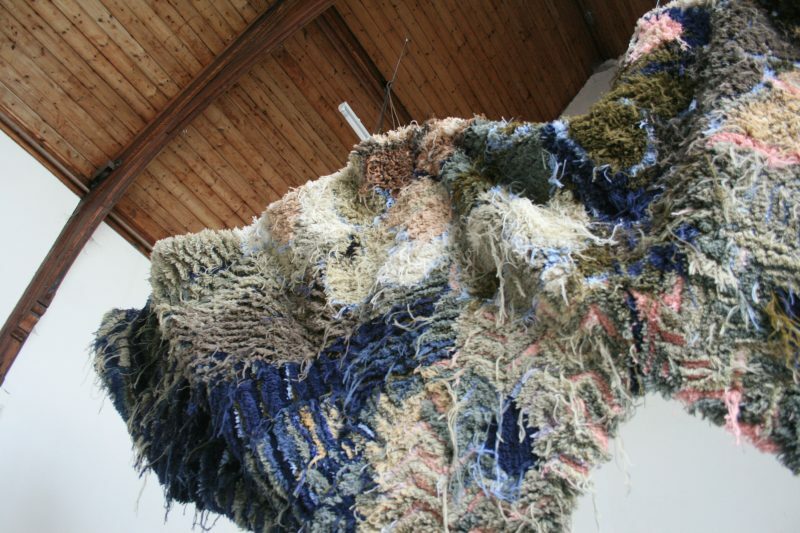 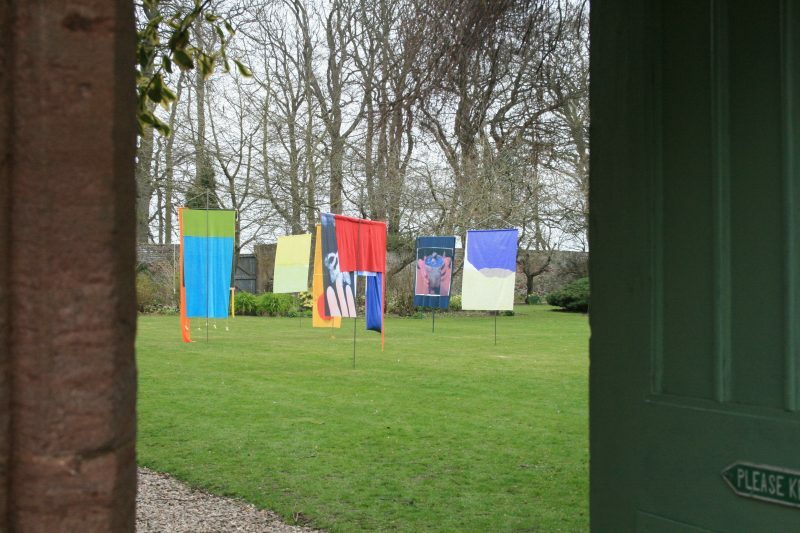 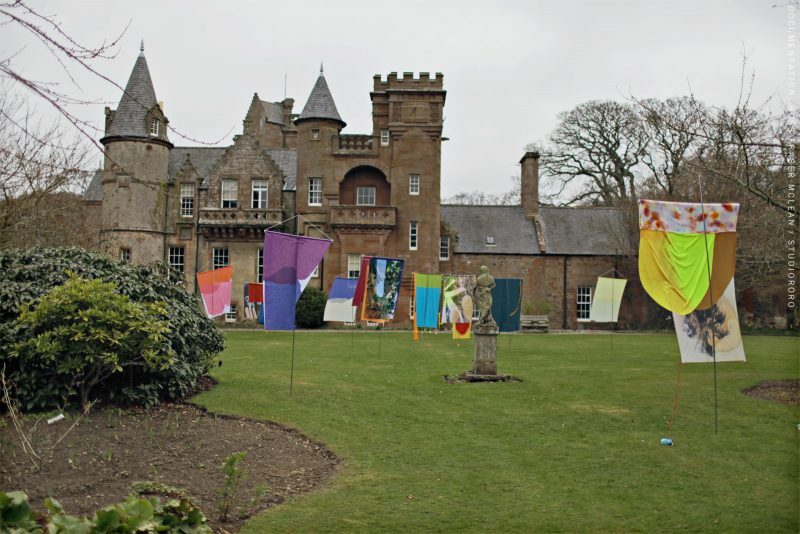 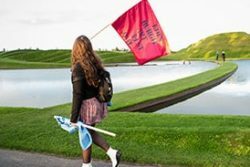 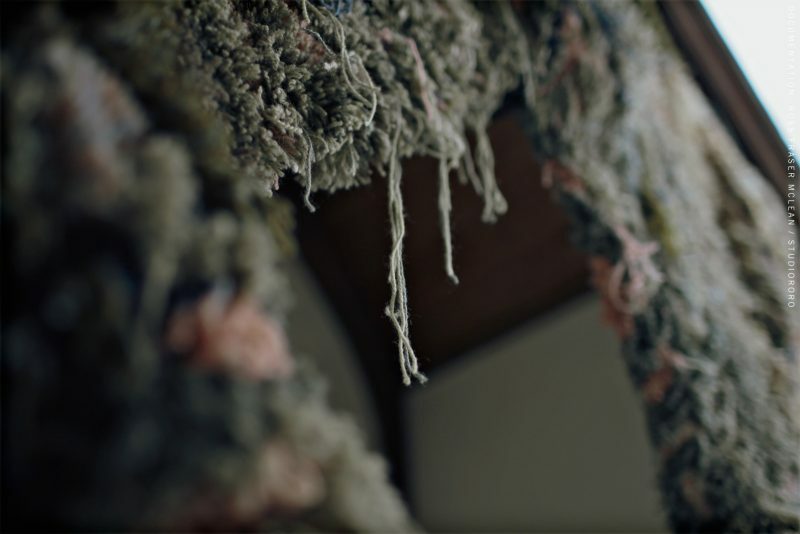 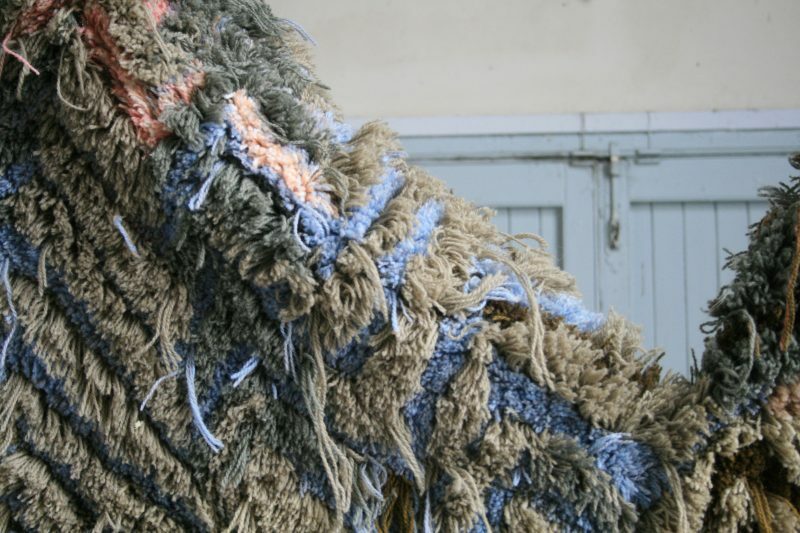 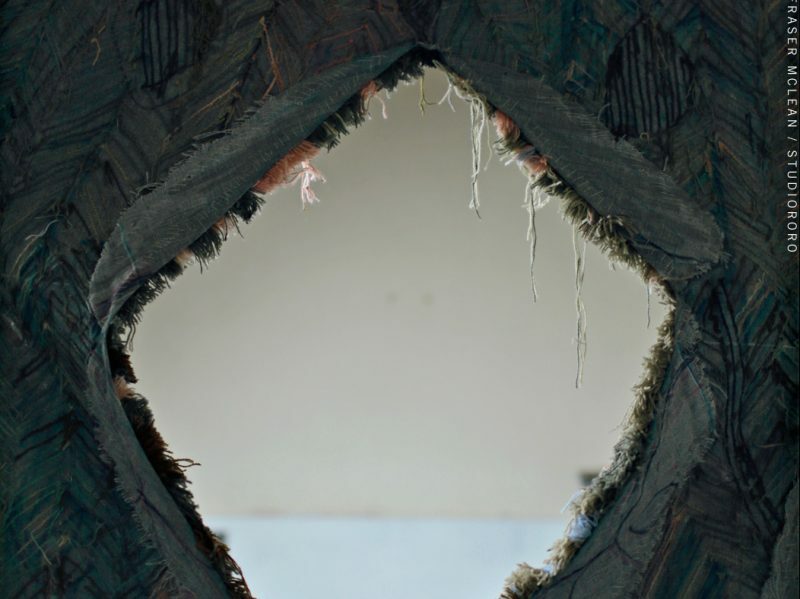 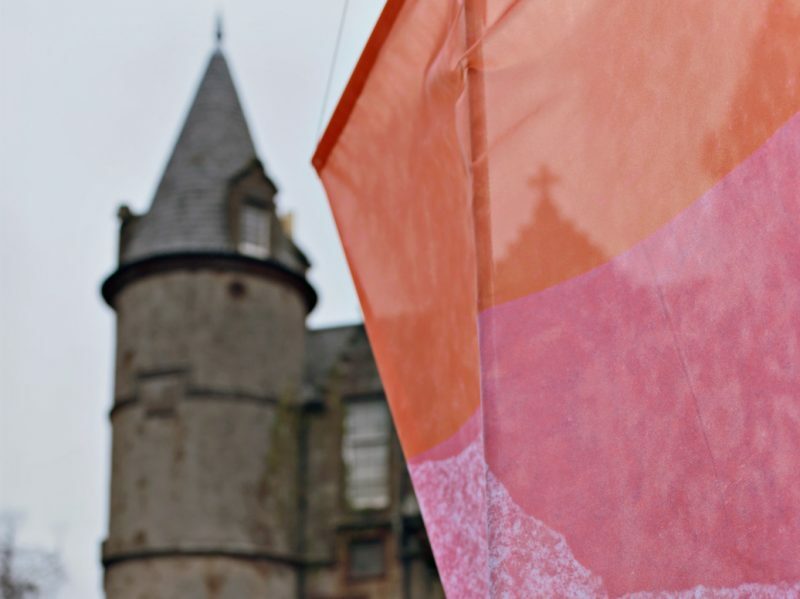 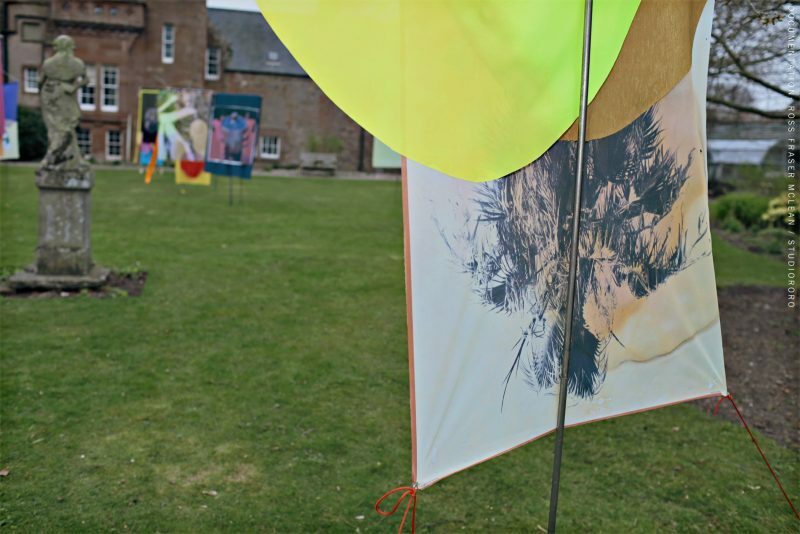 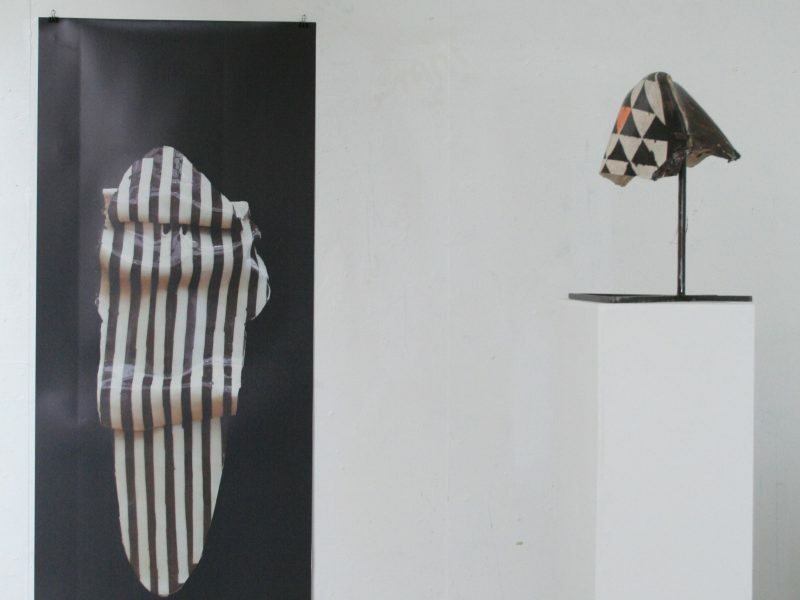 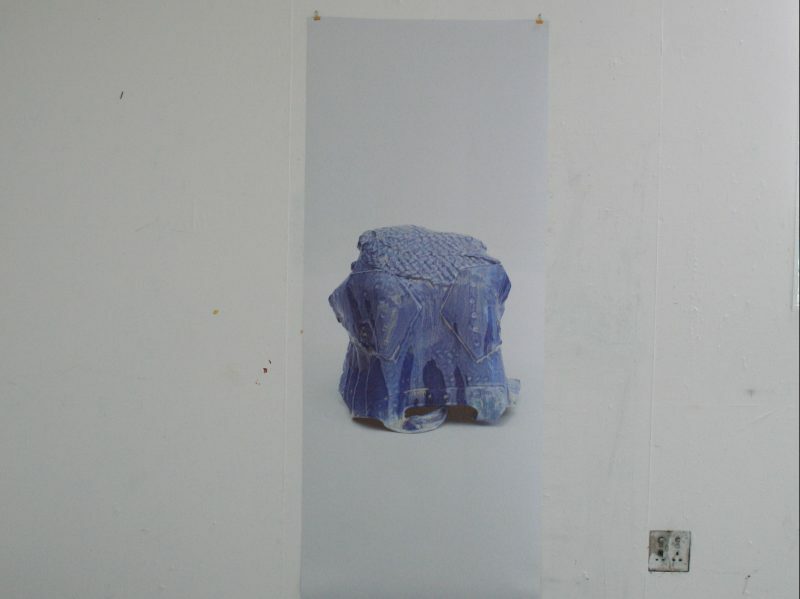 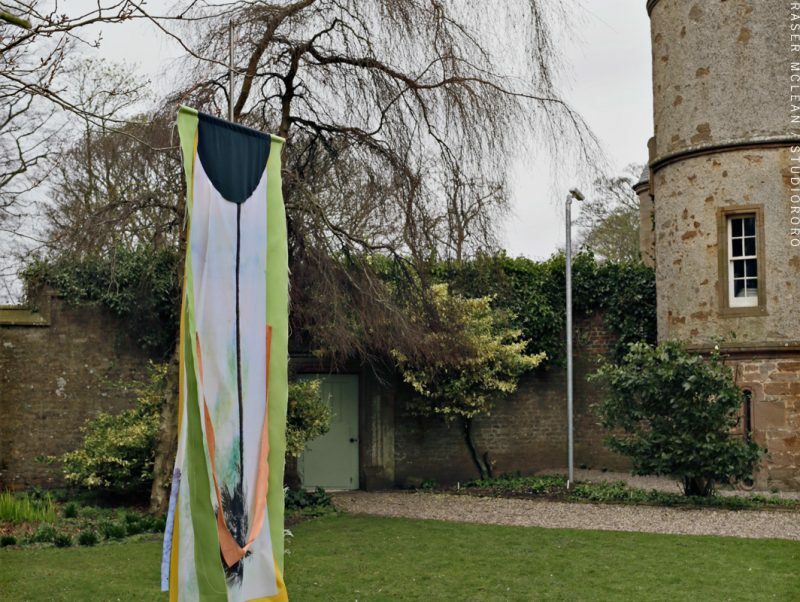 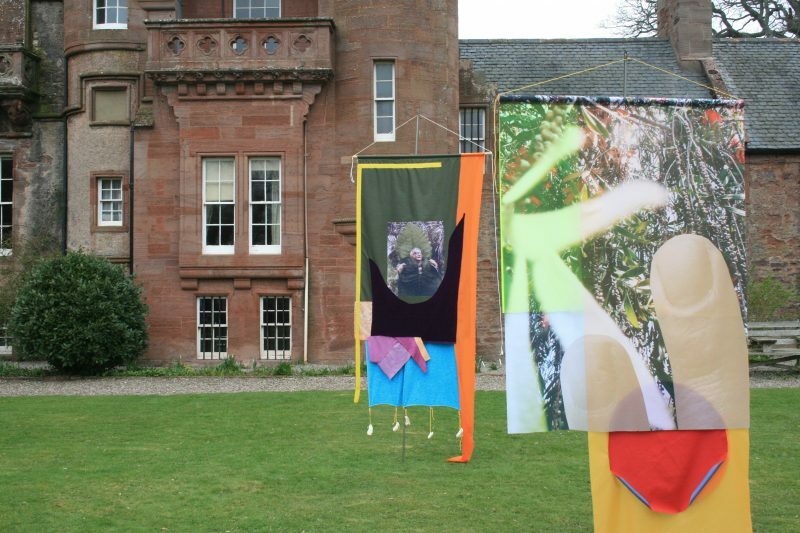 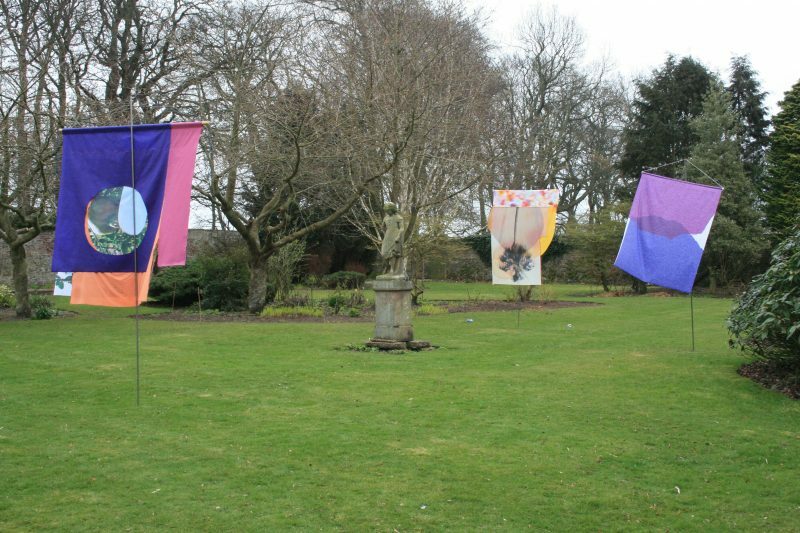 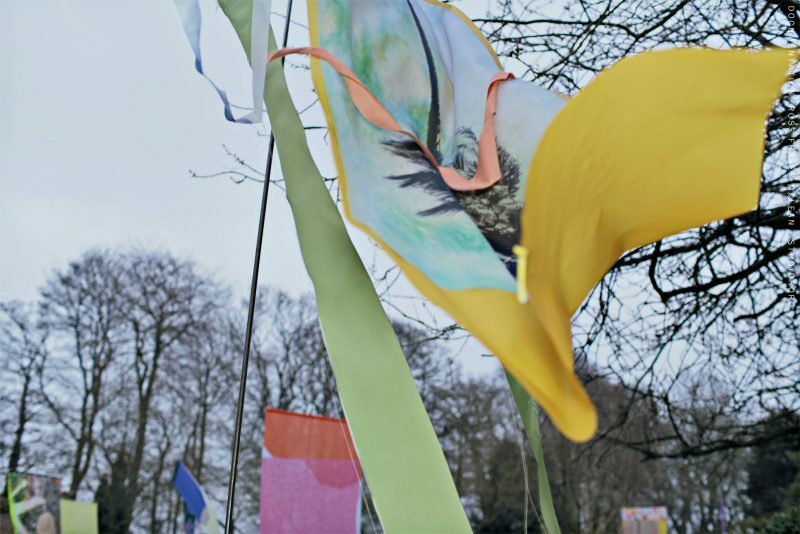 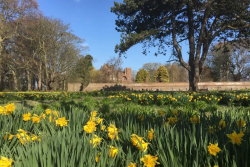 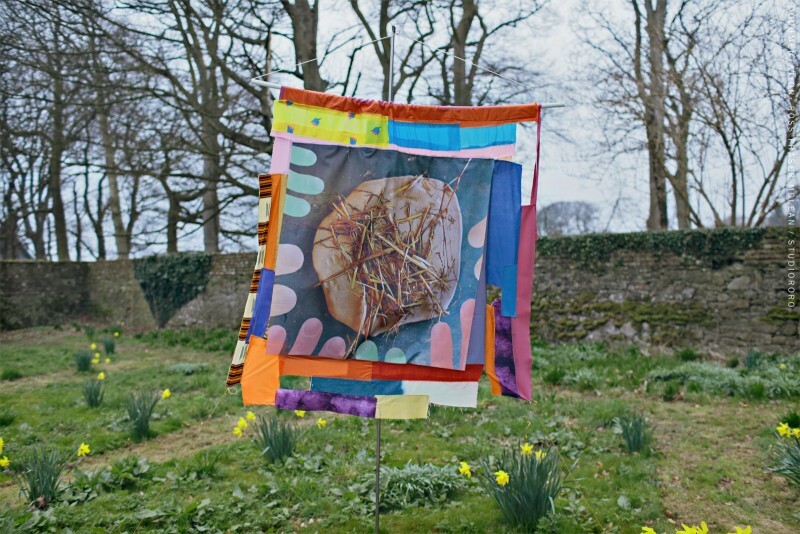 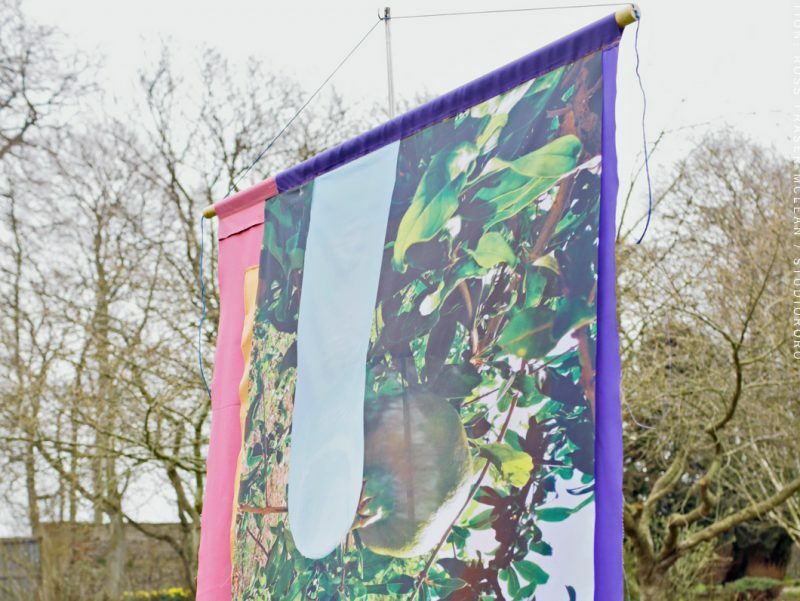 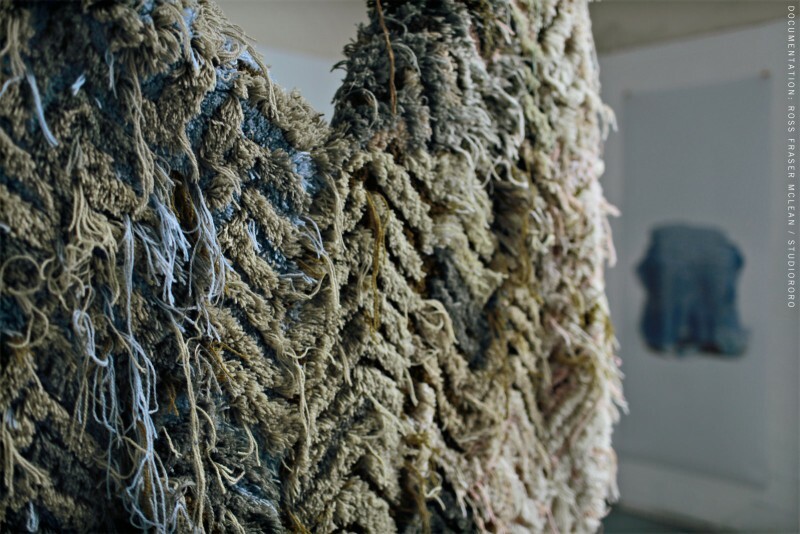 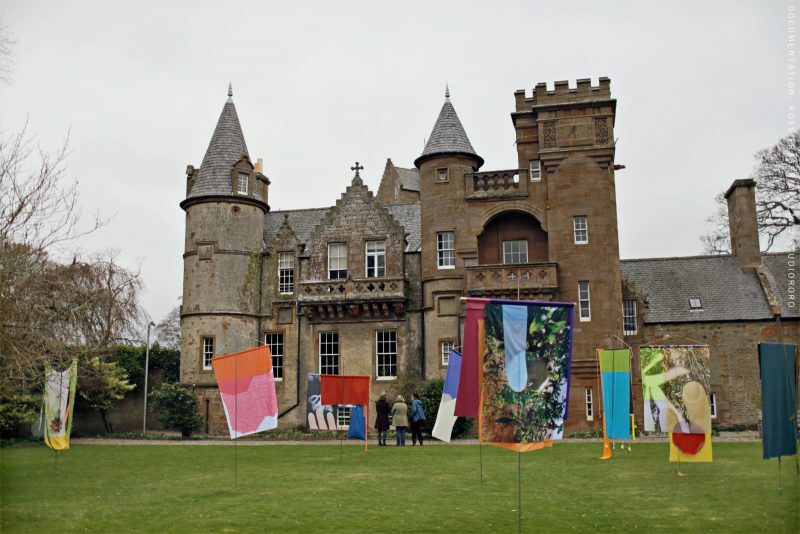 Laura Aldridge’s sculptural installation in the garden drew on experimental fabric banner prototypes which she made during her 2013 Residency at Hospitalfield. 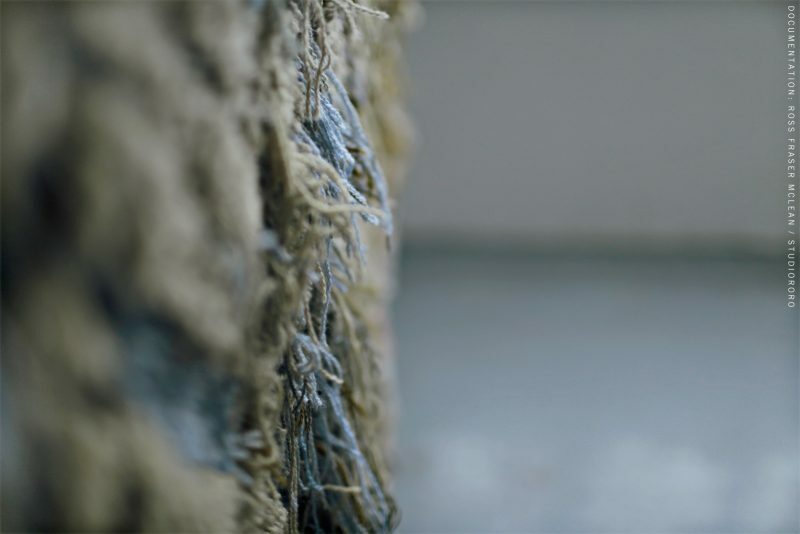 Caroline Achaintre’s project challenged the perceived use of the 1901 studios where residents have worked for over 100 years. 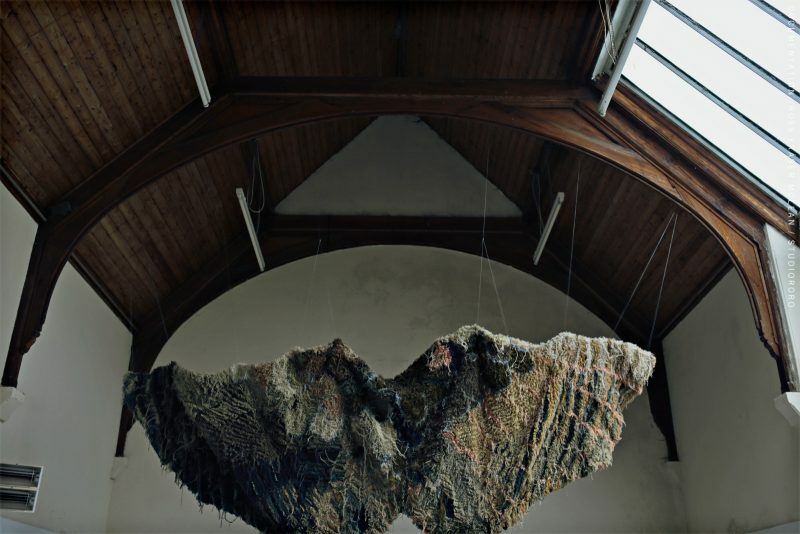 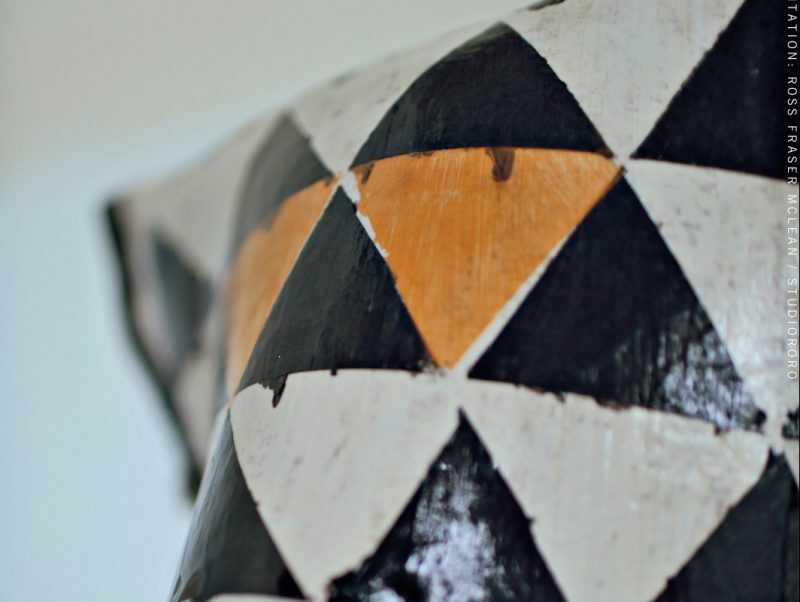 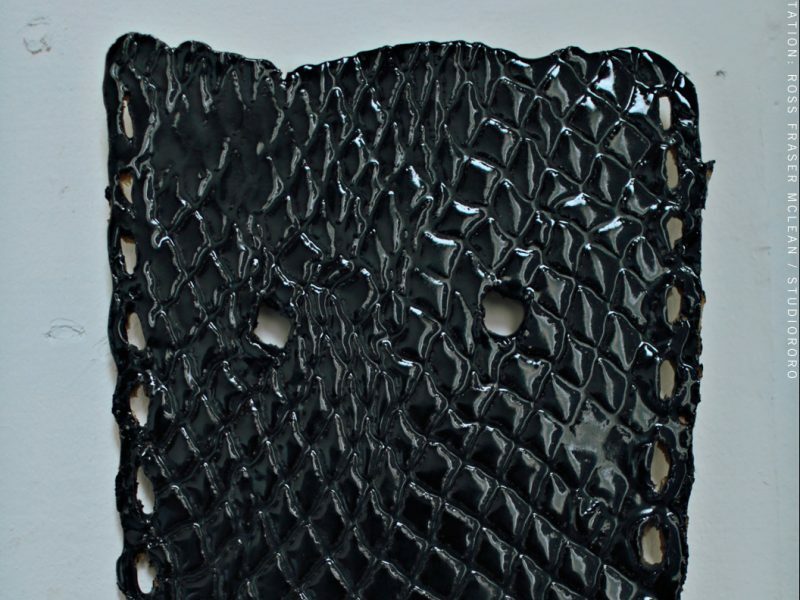 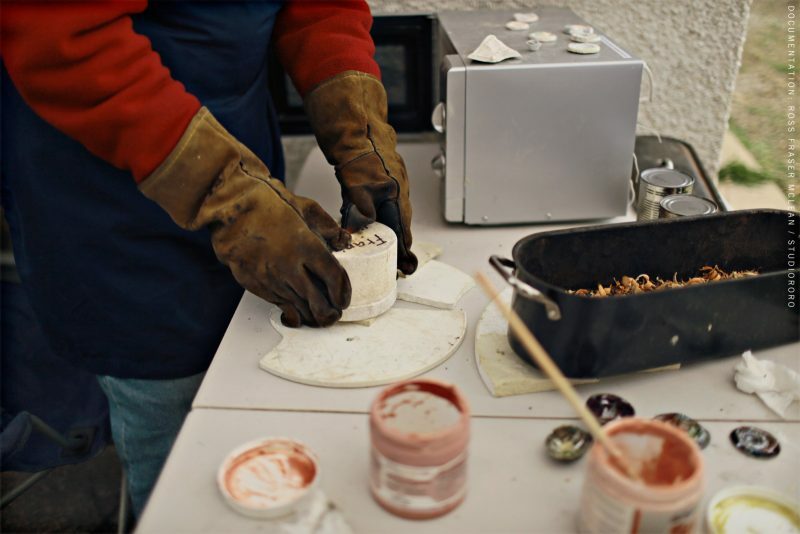 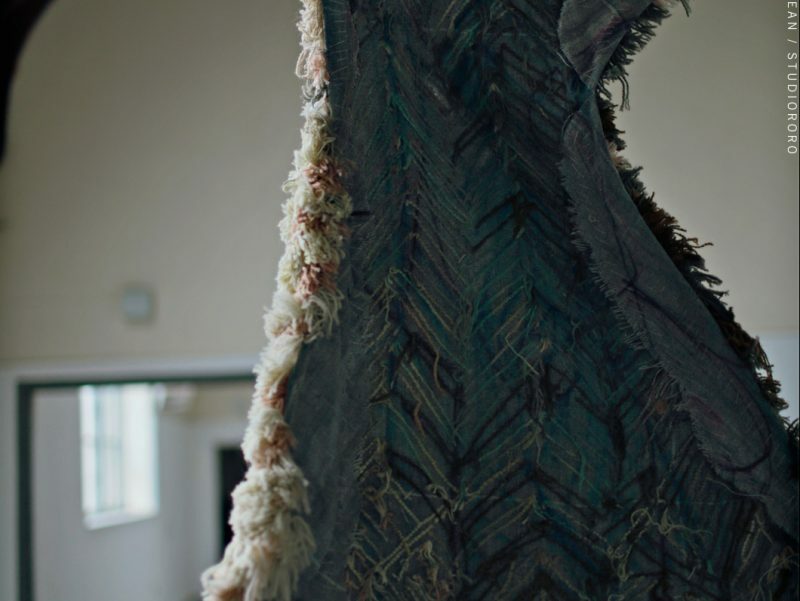 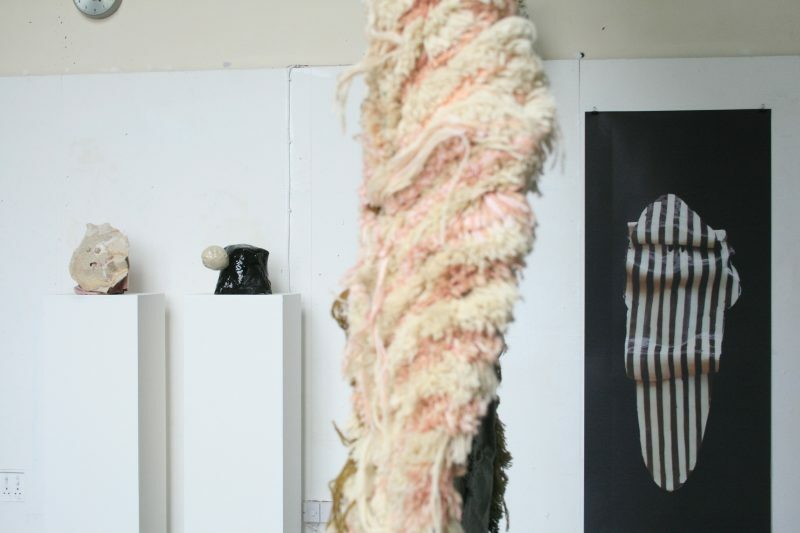 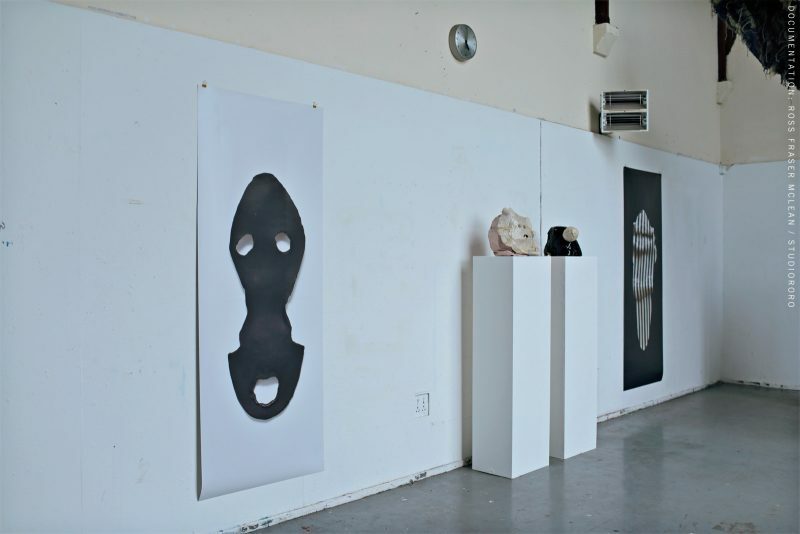 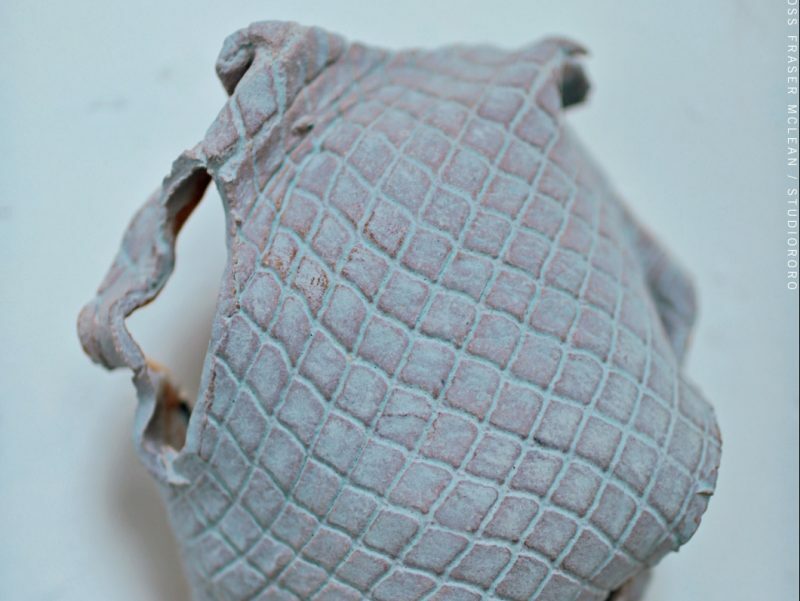 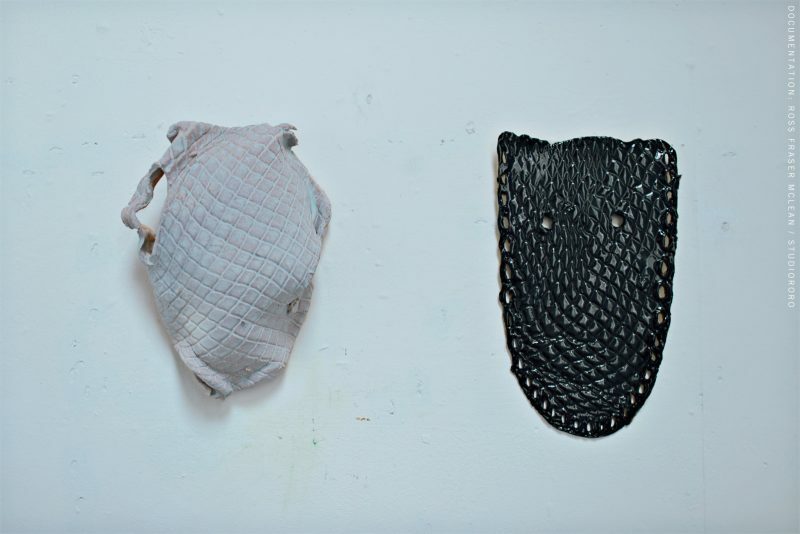 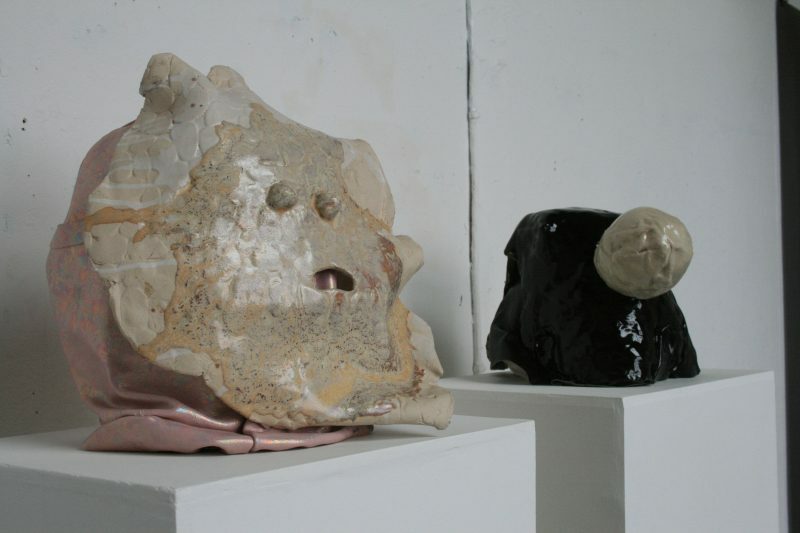 She considered the space as both a production and display environment, bringing existing works into new presentations and developing new work in situ. 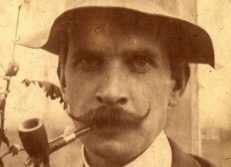 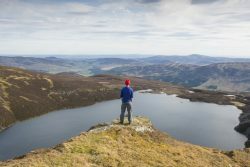 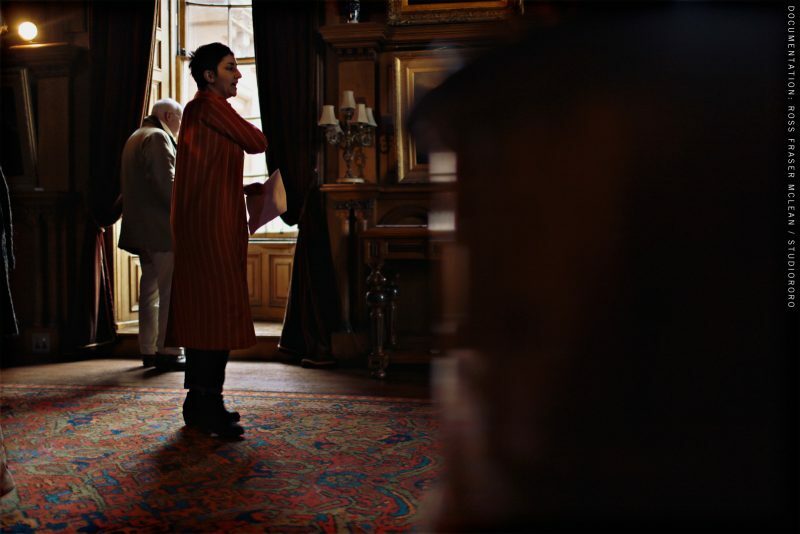 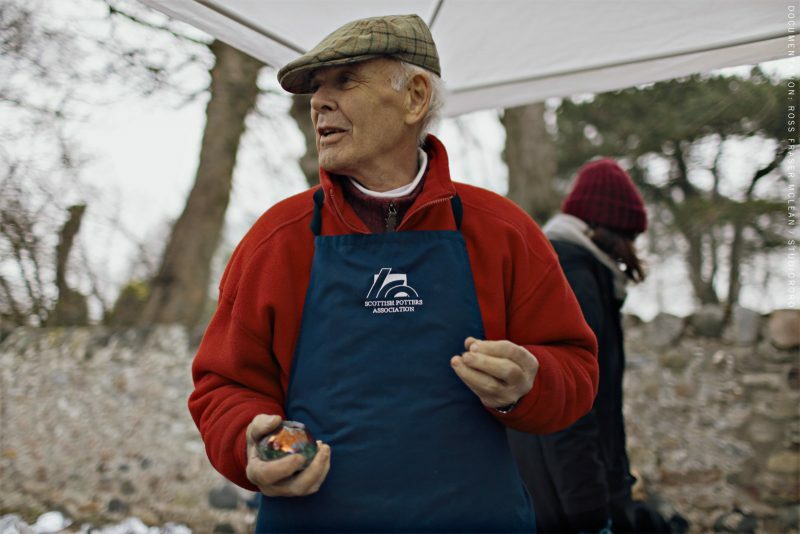 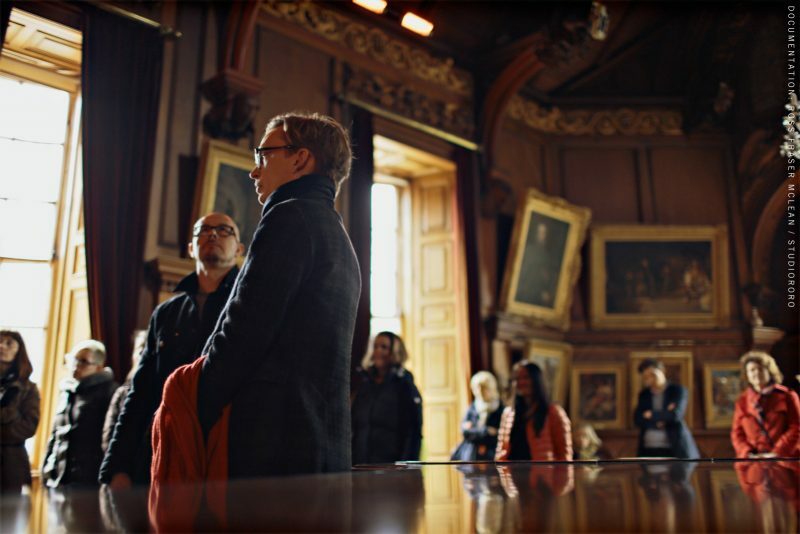 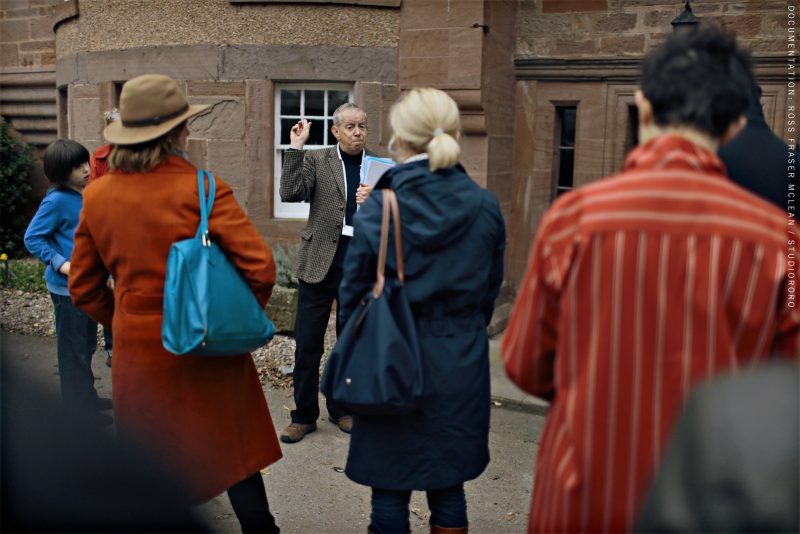 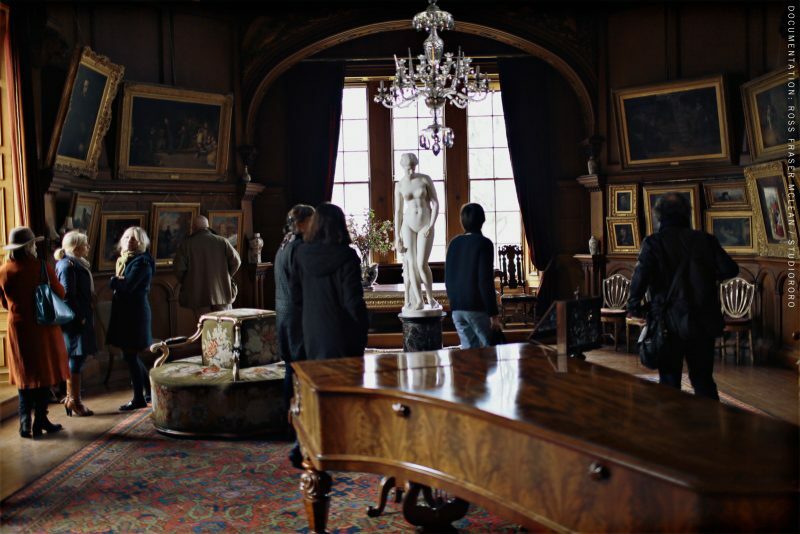 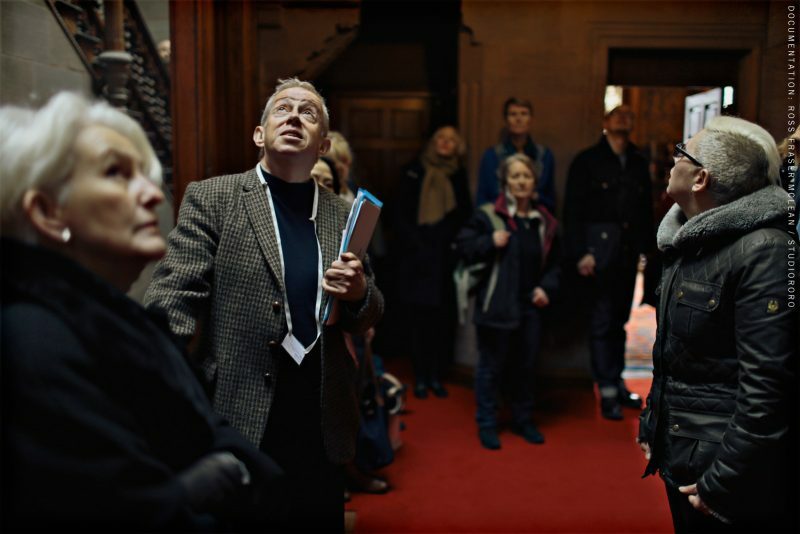 The artist Patrick Allan-Fraser – a key figure in the history of Hospitalfield who transformed the buildings in the 1800s and left the estate in trust for the support of living artists – demonstrated his bond with nature through his marrying of natural materials and direct botanical references as well as through his pastoral ideals. 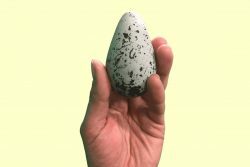 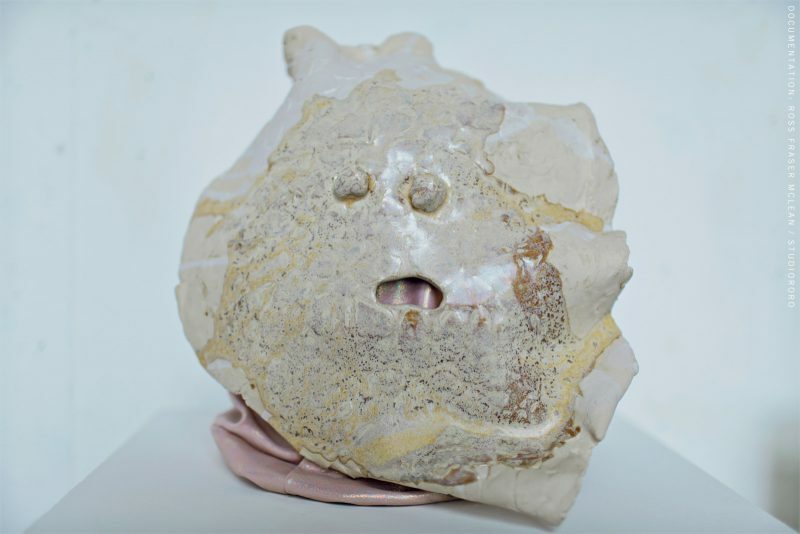 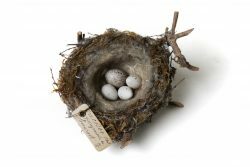 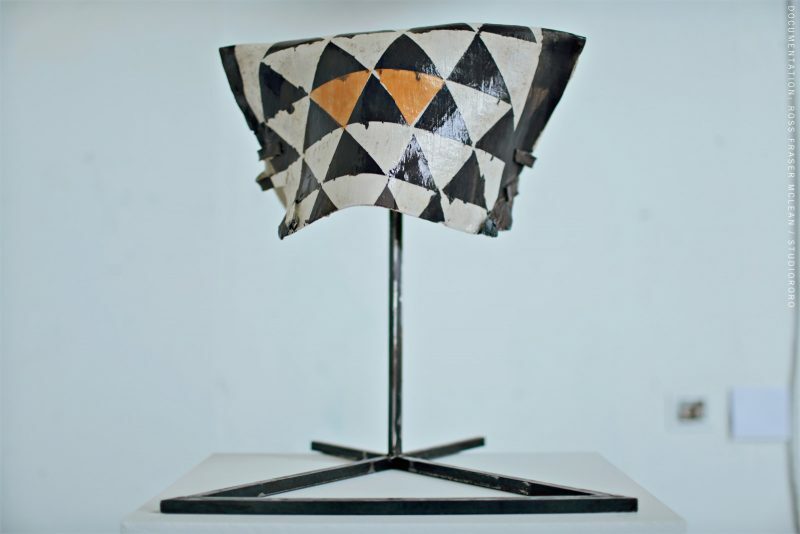 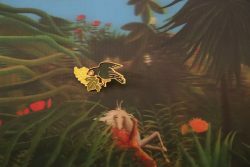 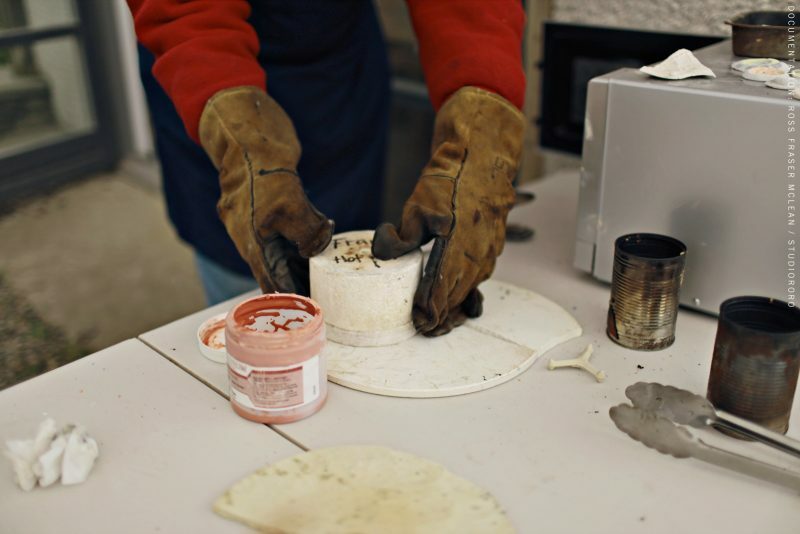 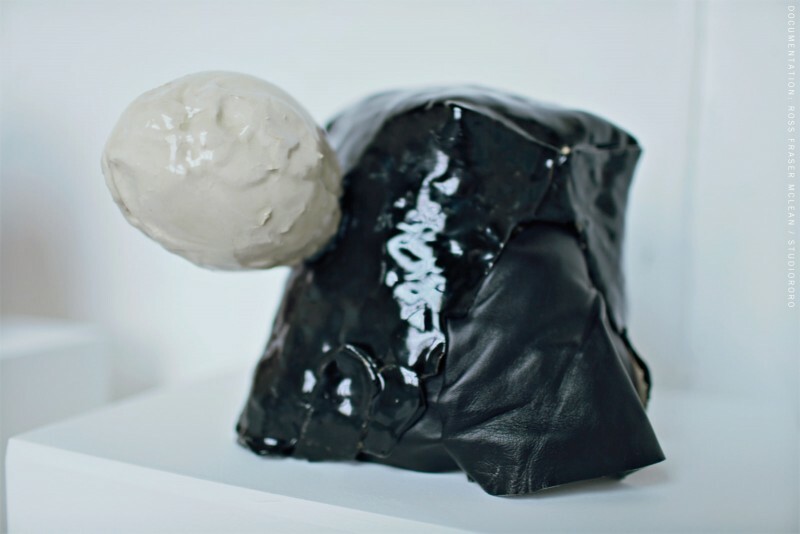 Where Allan-Fraser sought fidelity of material and representation, artists today often work directly with the infidelity of their materials and an understanding of the unstable nature of representation. 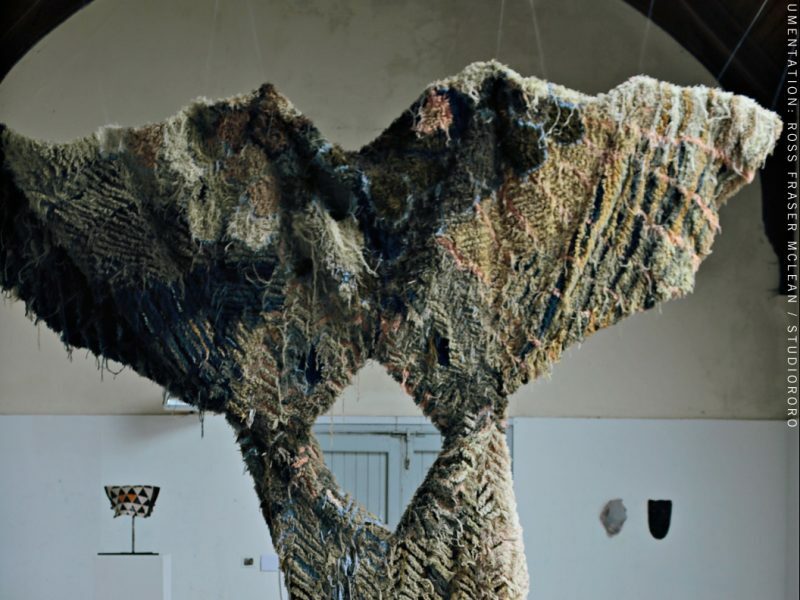 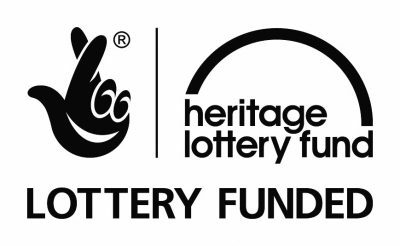 This project has been made possible by the support of The Elephant Trust.